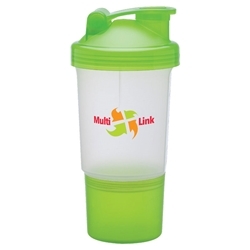 The Shake It 'Til You Make It 28 oz. 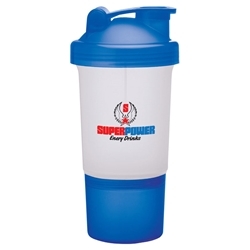 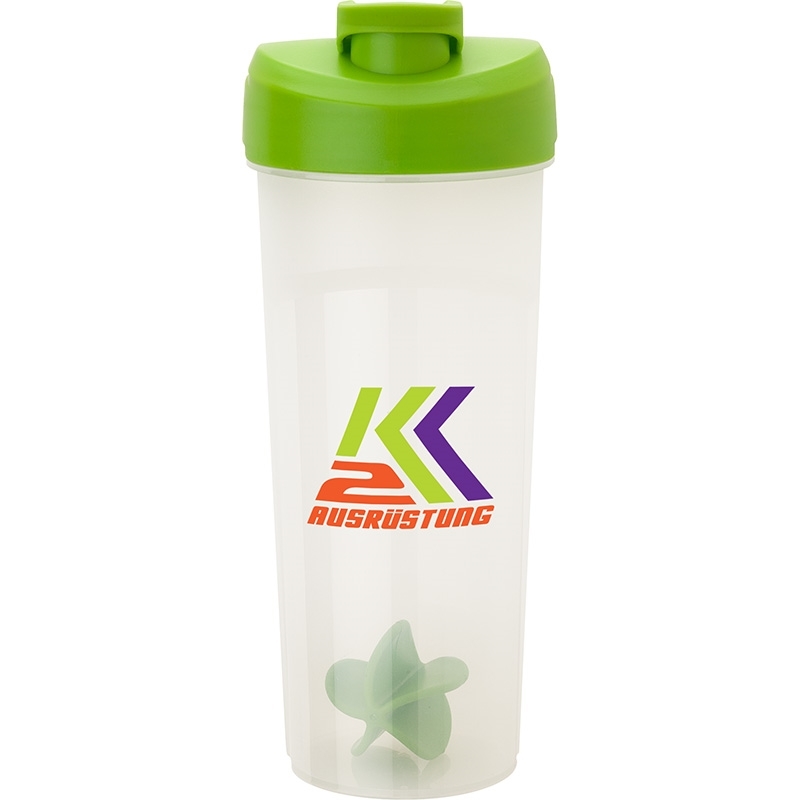 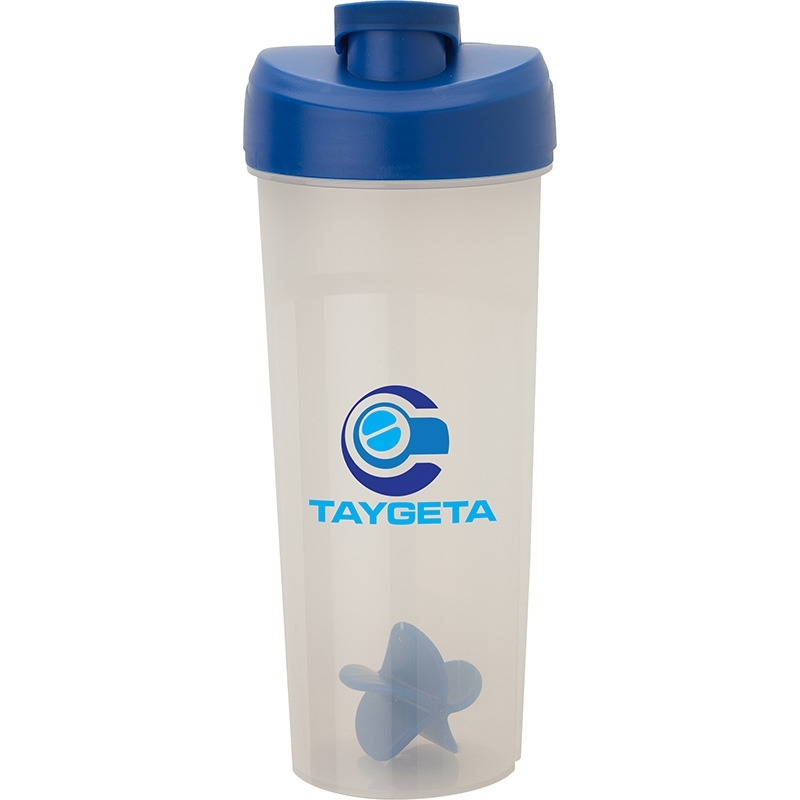 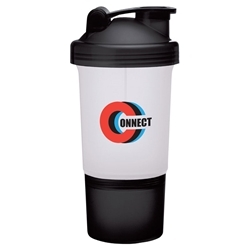 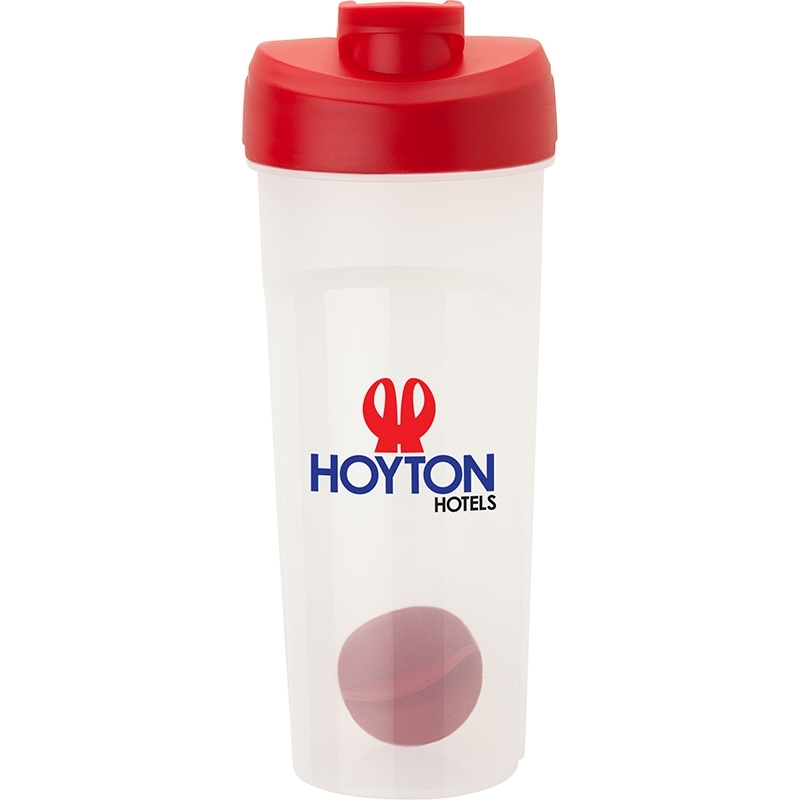 shaker cup uses a ball to help combine protein or other powders with liquid, breaking up lumps to give you a smooth drink. 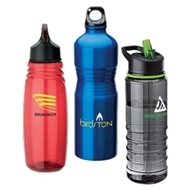 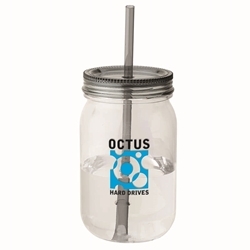 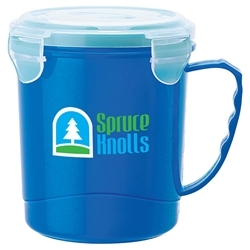 BPA-free, fits most car drink holders. 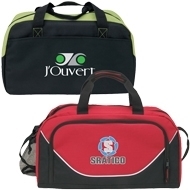 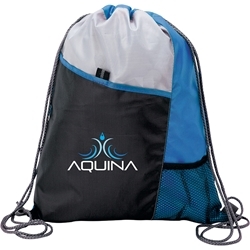 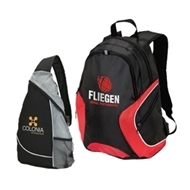 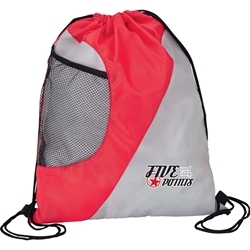 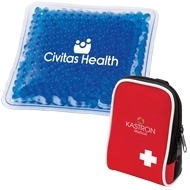 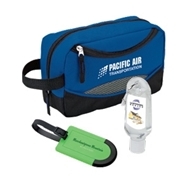 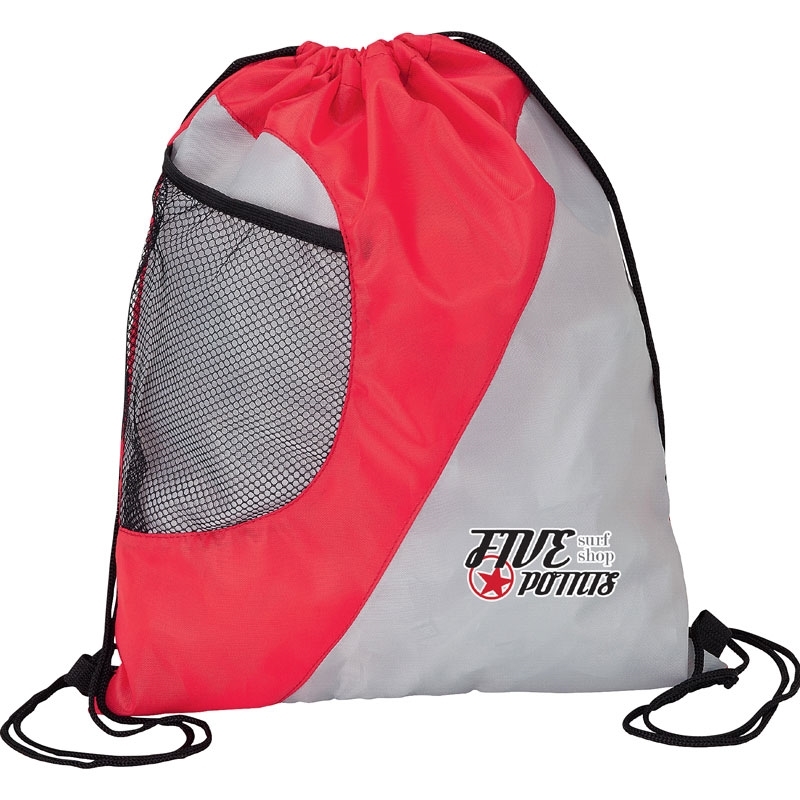 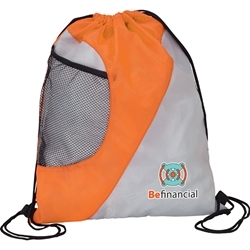 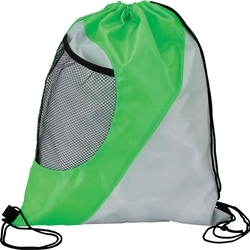 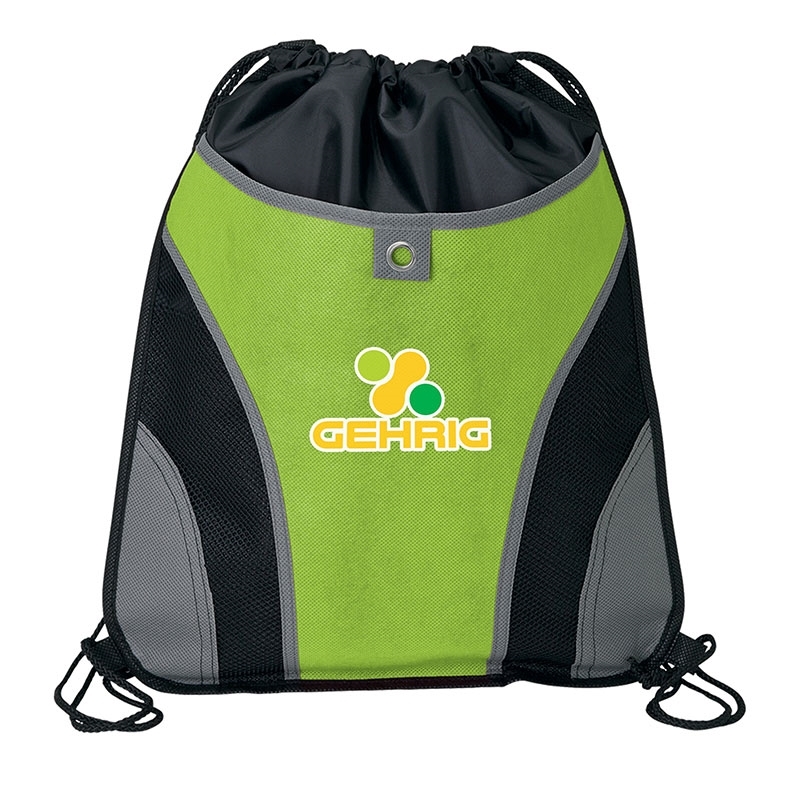 This sport bag is perfect for that next big festival or outdoor event. 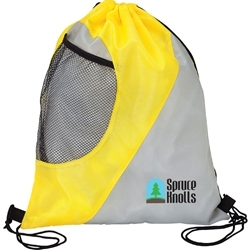 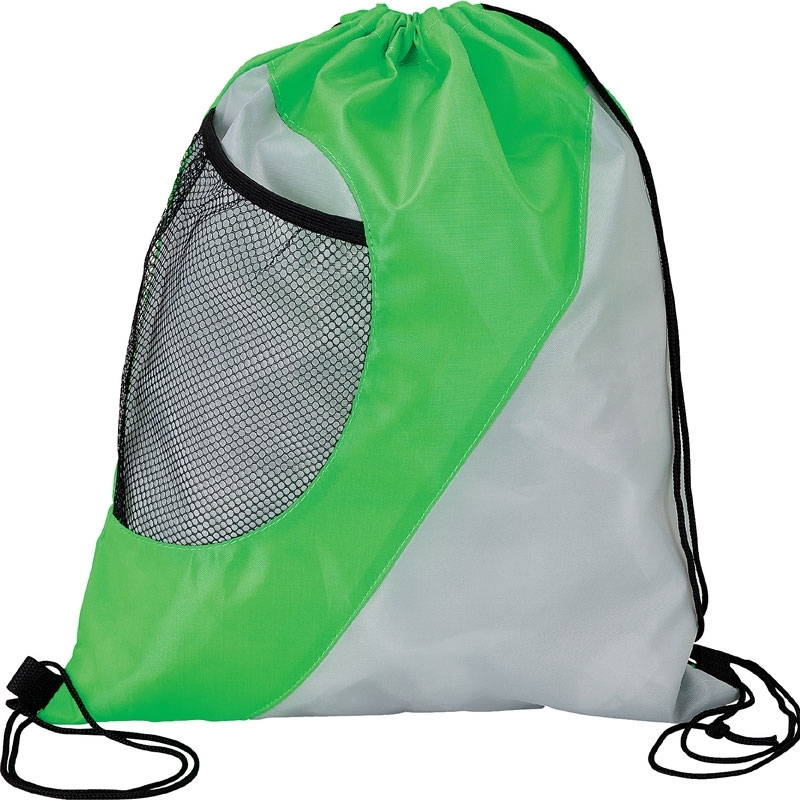 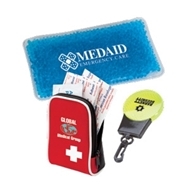 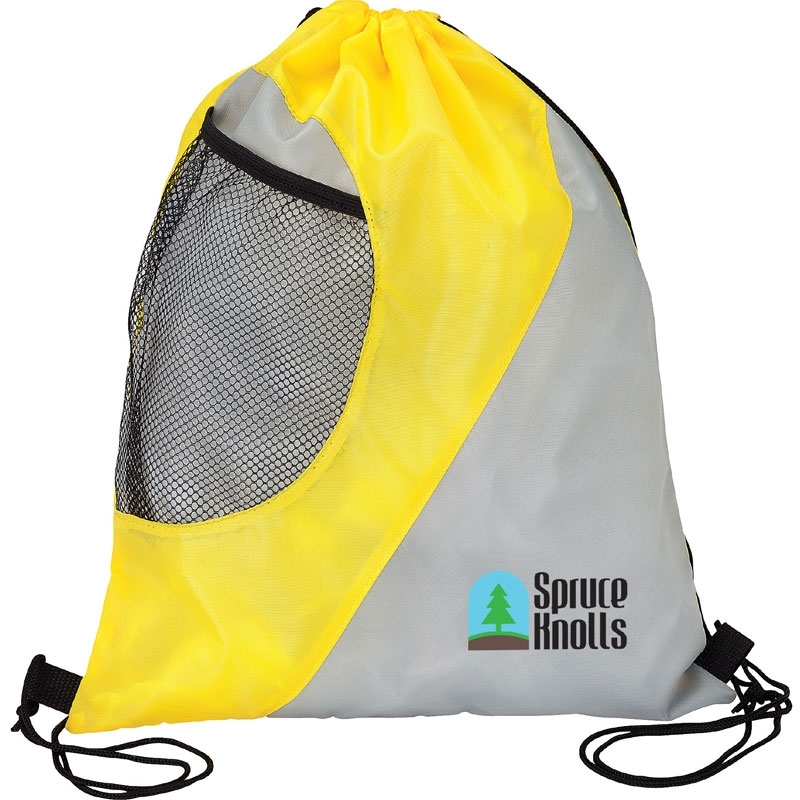 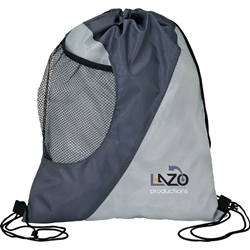 Made from lightweight 210D material, it features a pull tab front pocket with hook and loop closure and a convenient mesh pocket. 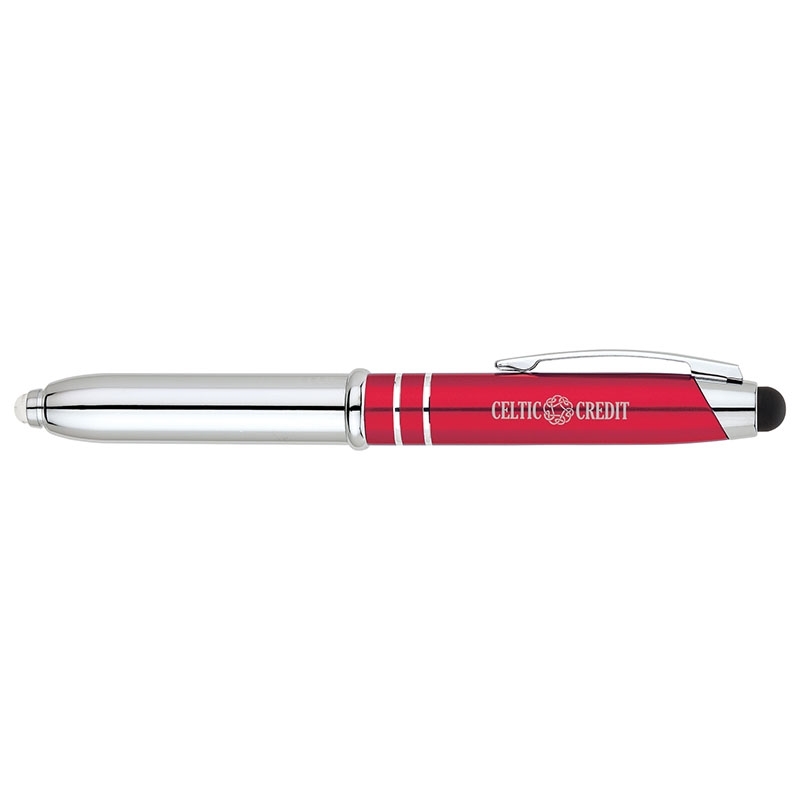 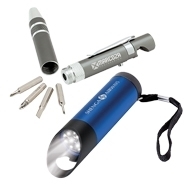 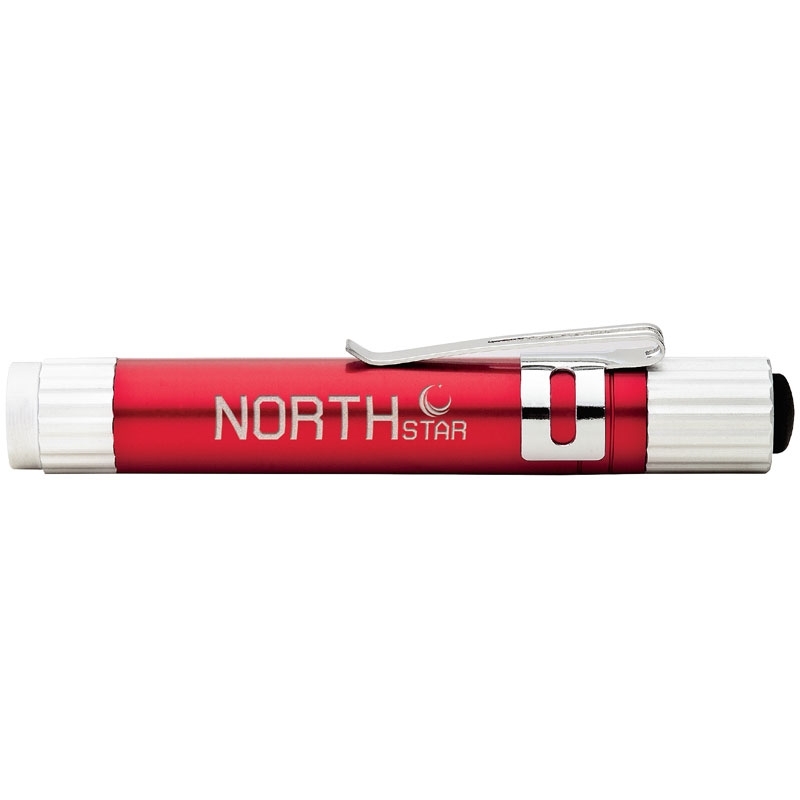 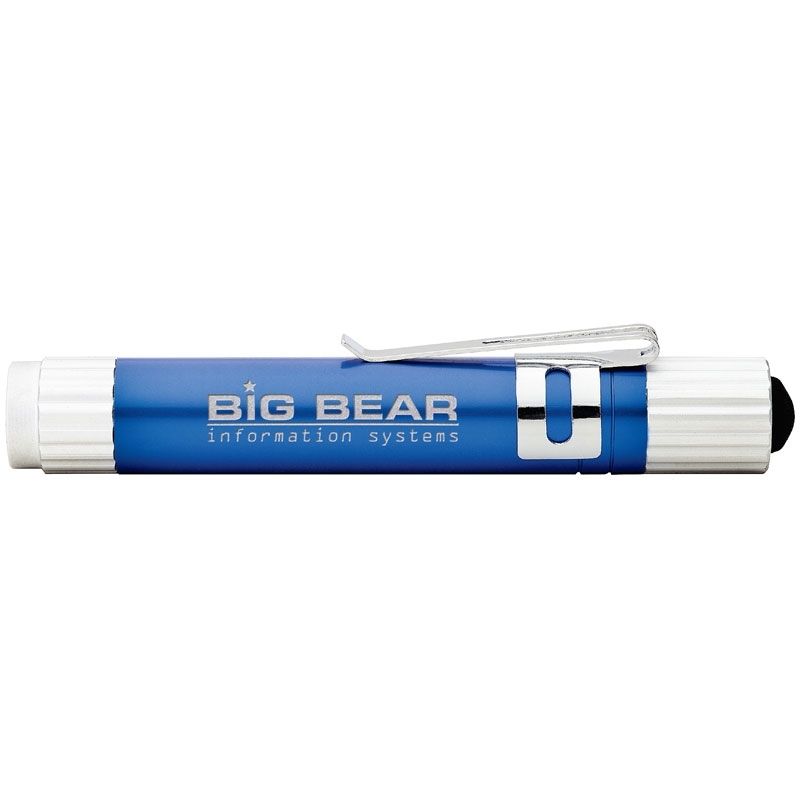 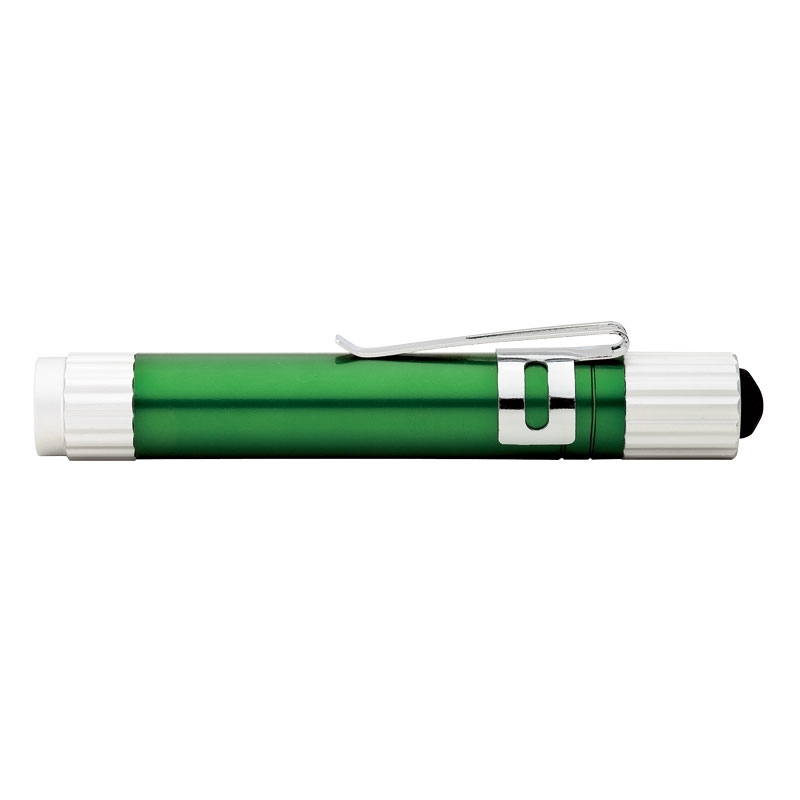 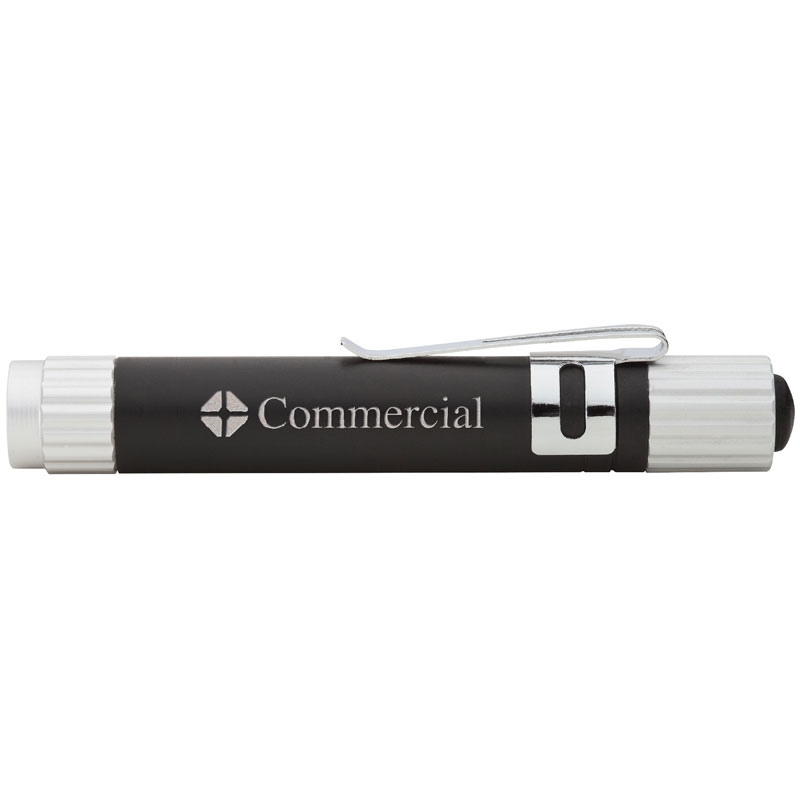 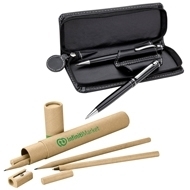 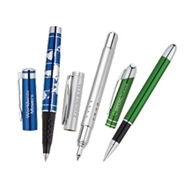 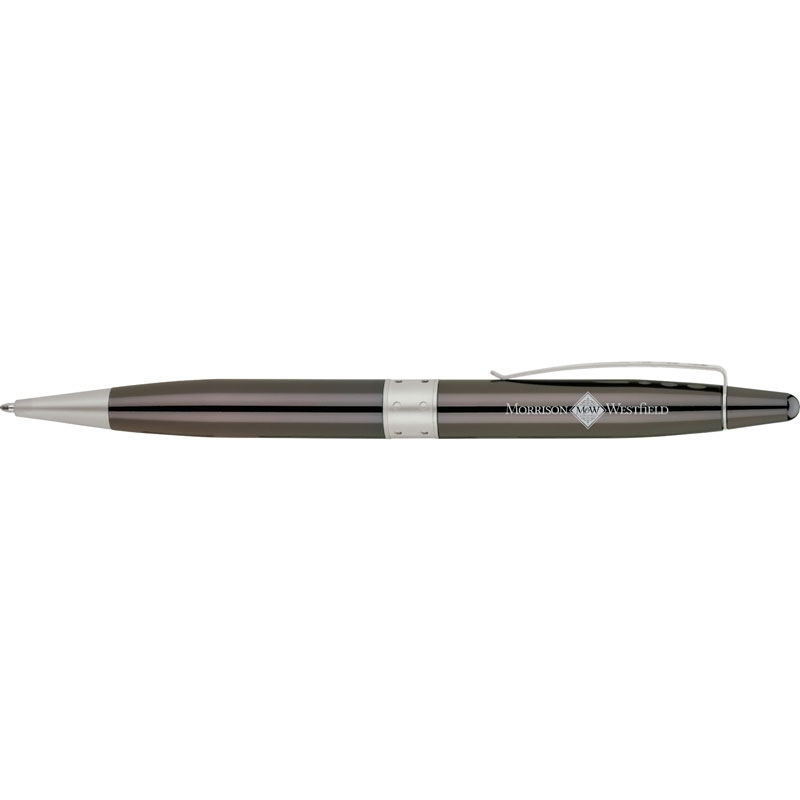 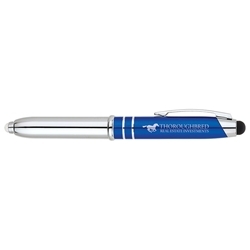 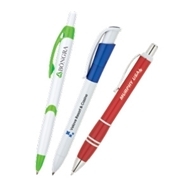 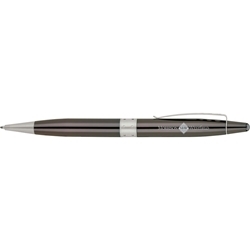 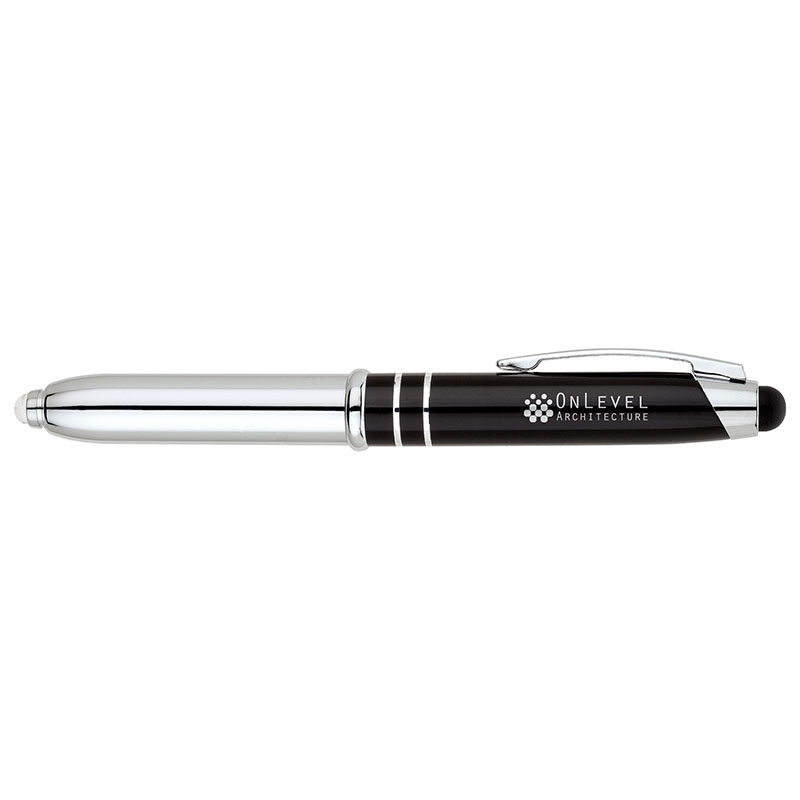 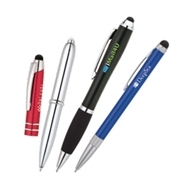 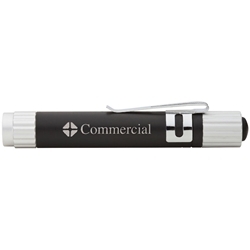 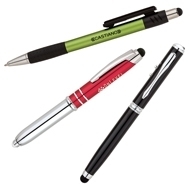 Aluminum cap off ballpoint pen has an LED light and capacitive stylus what works with the iPad, iPhone, Droids and other touch screen devices. 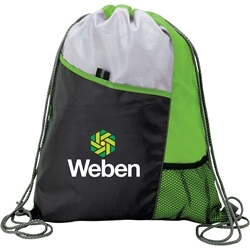 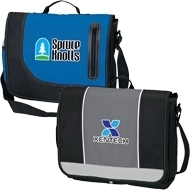 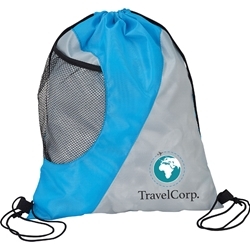 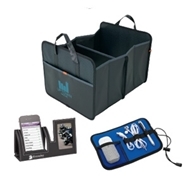 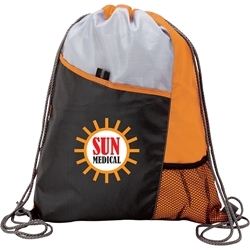 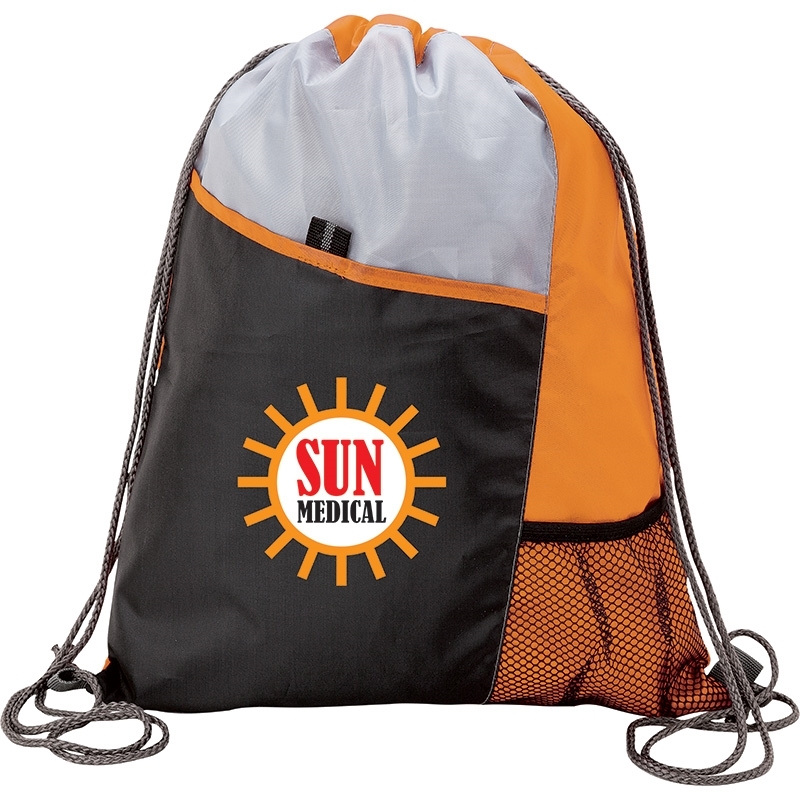 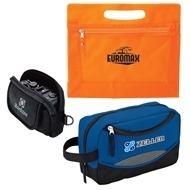 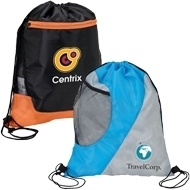 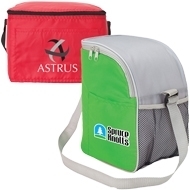 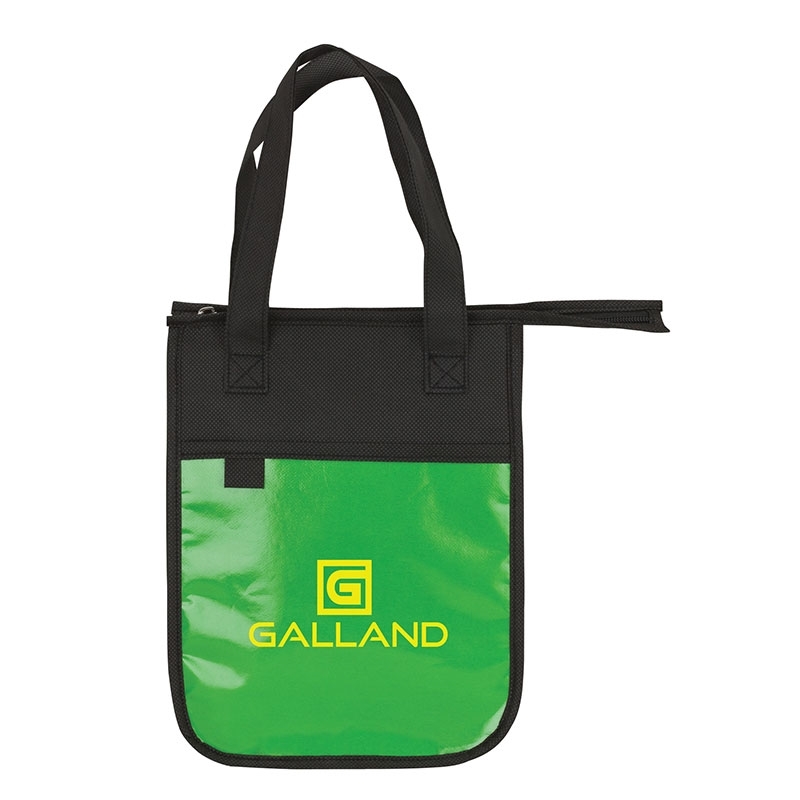 The Excellente multi-purpose tote made from 80gsm non-woven polypropylene features a large front pocket, D-ring, pen loops, mesh side pocket, 5” gusset and 1 1/8" x 28" handles. 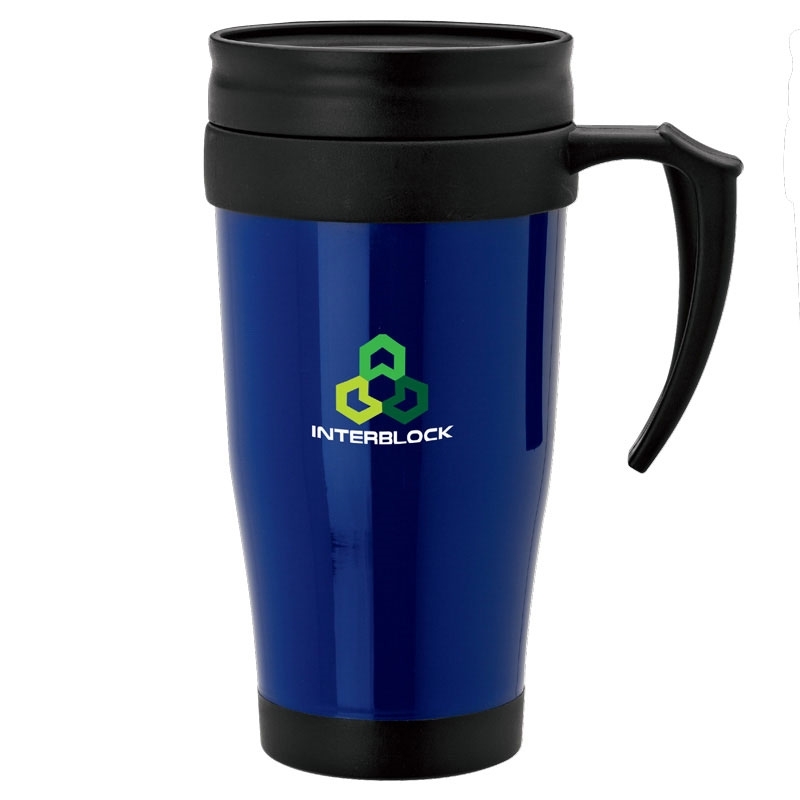 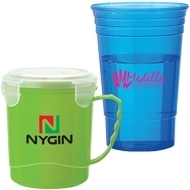 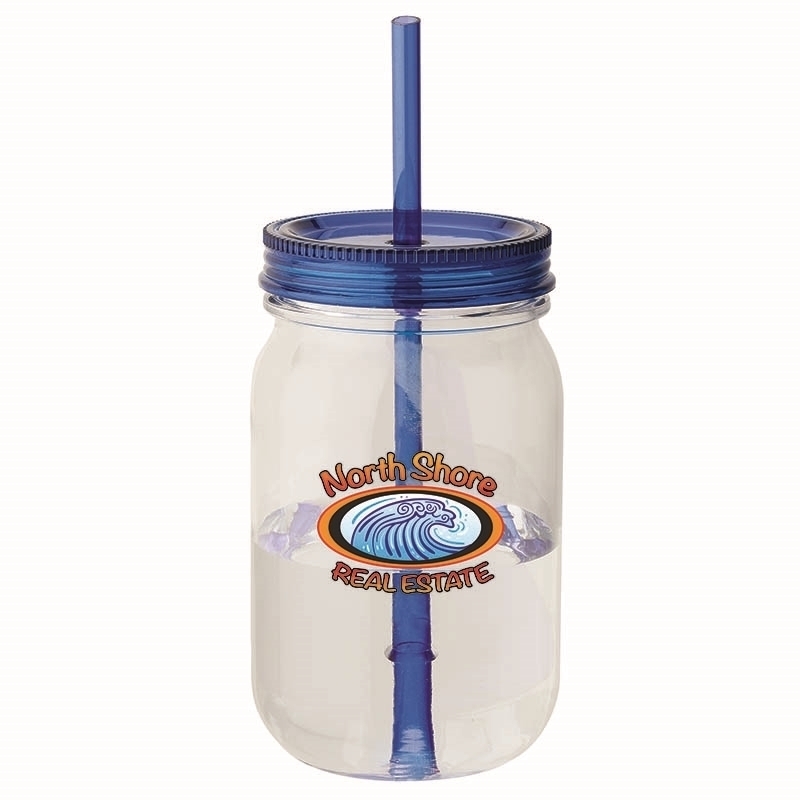 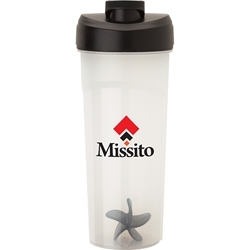 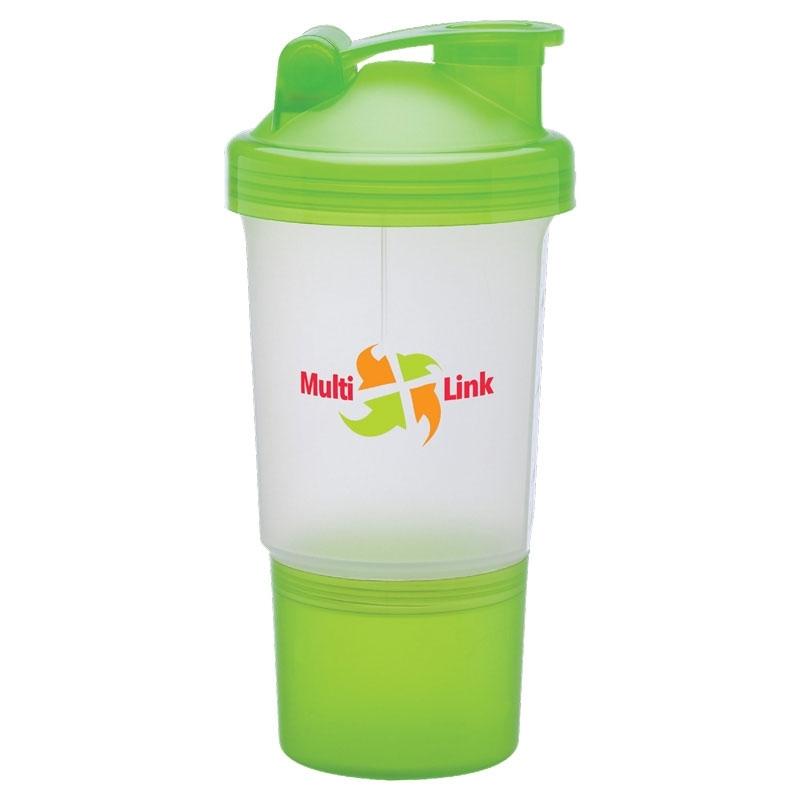 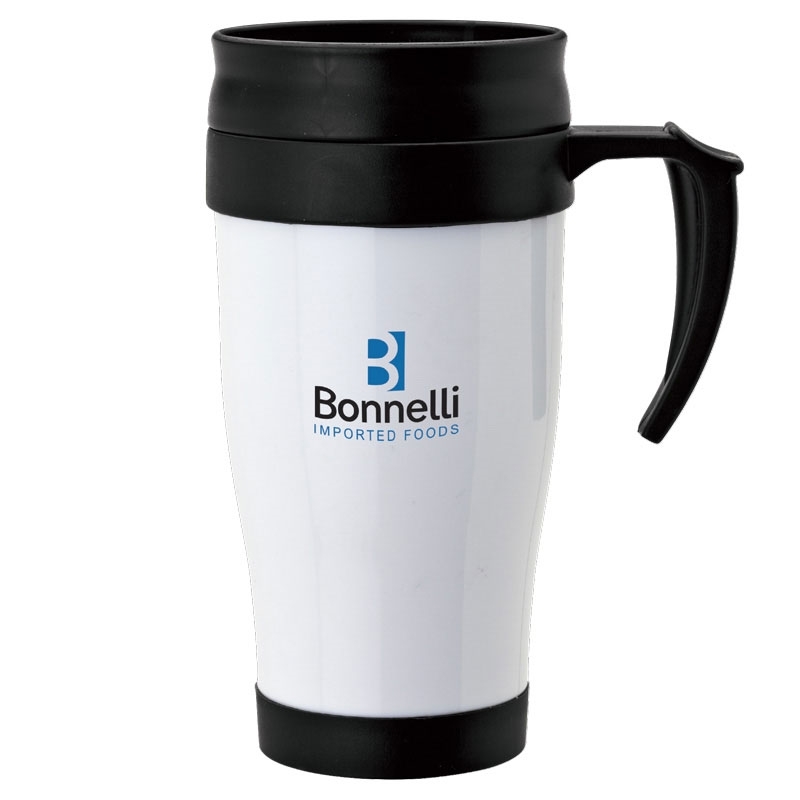 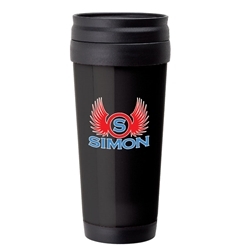 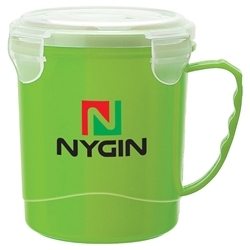 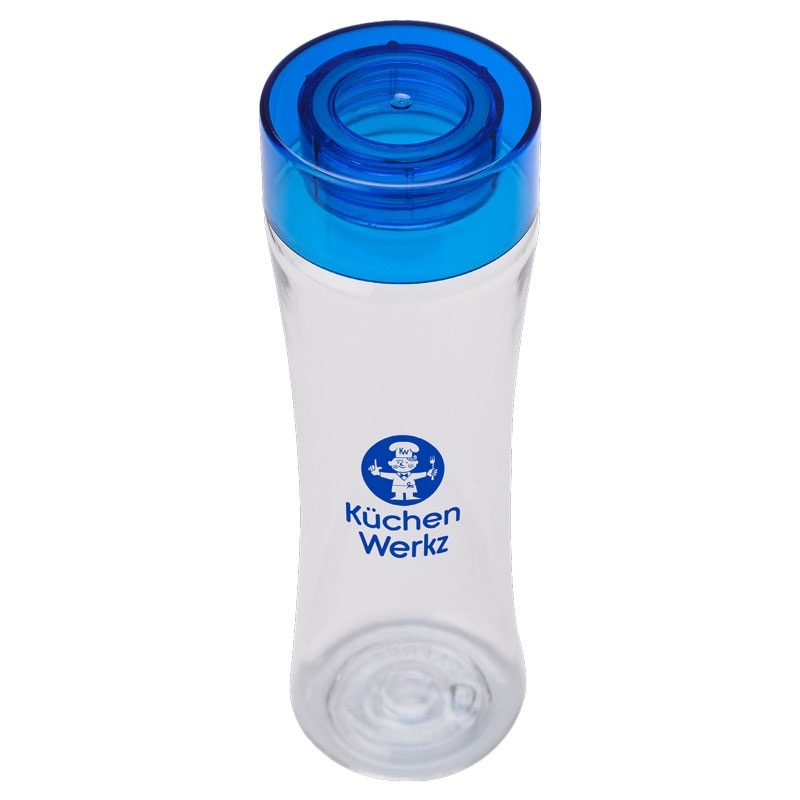 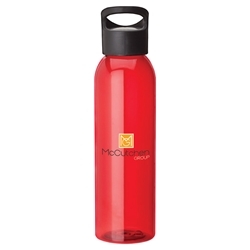 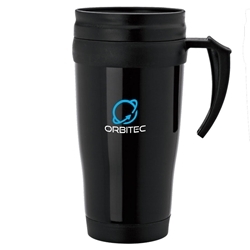 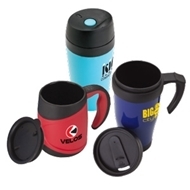 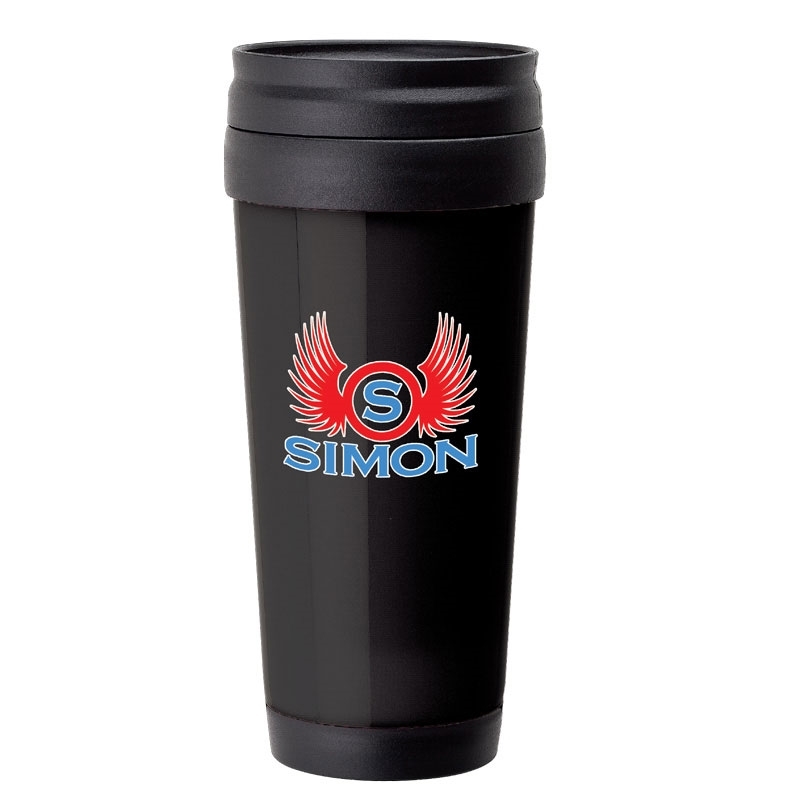 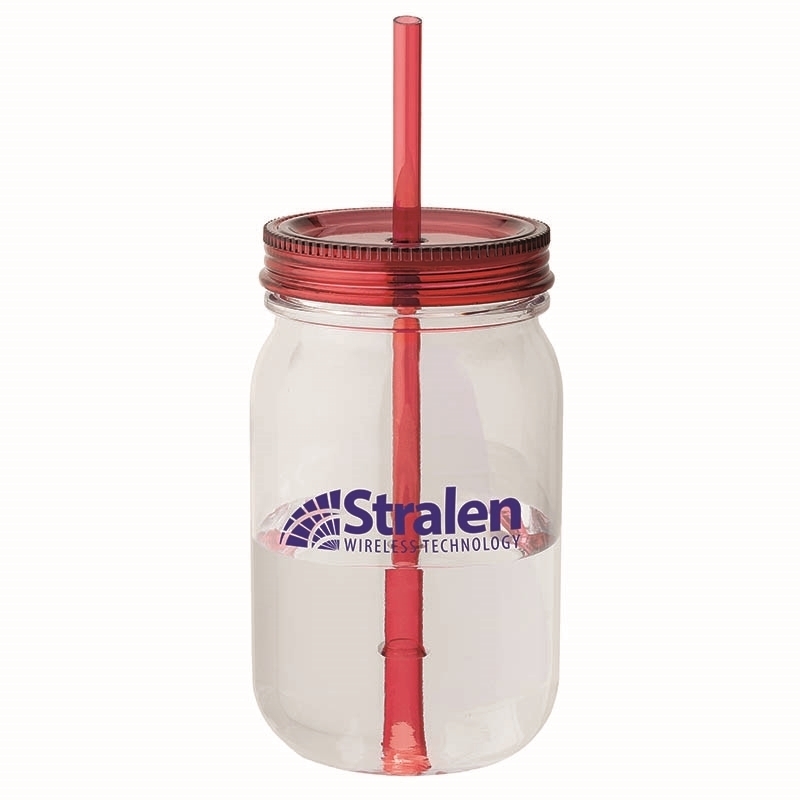 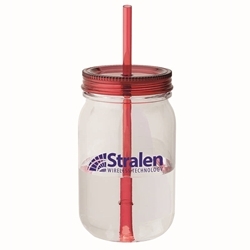 Double Wall Polypropylene Mug with Slider Lid - 16oz. 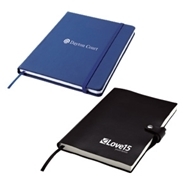 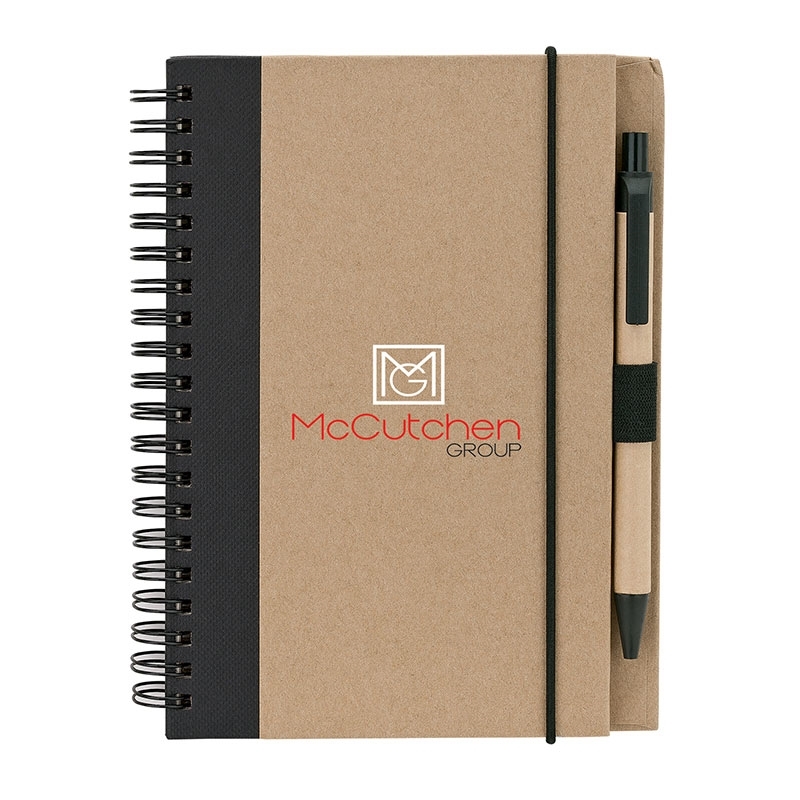 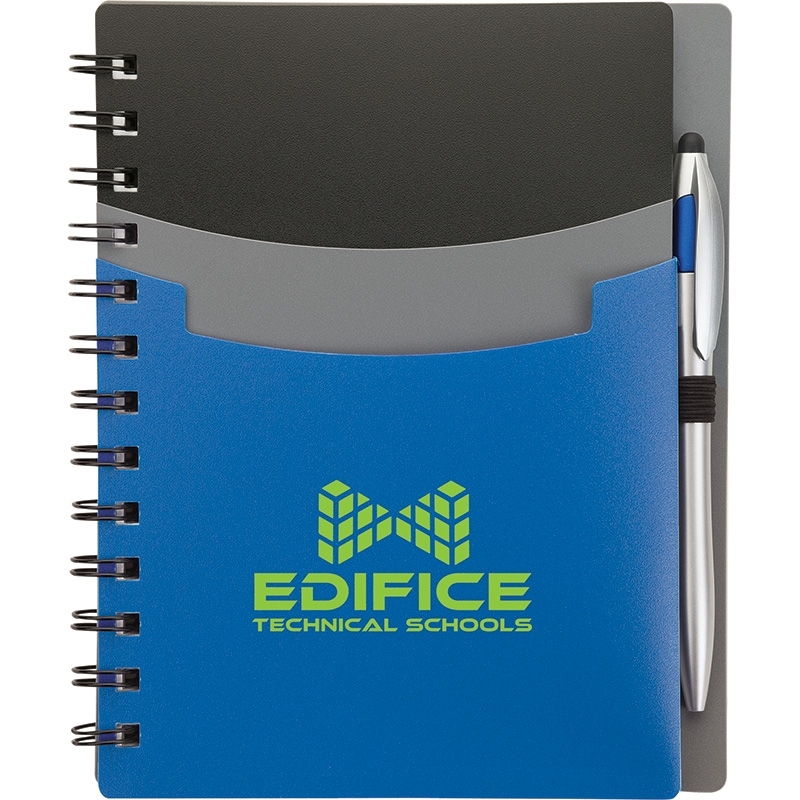 Our Le Chambre junior notebook has a polypropylene cover, two front pockets, an inside pocket, 80 lined writing pages and a twist-action ballpoint pen with capacitive stylus for touch screens. 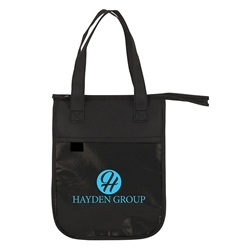 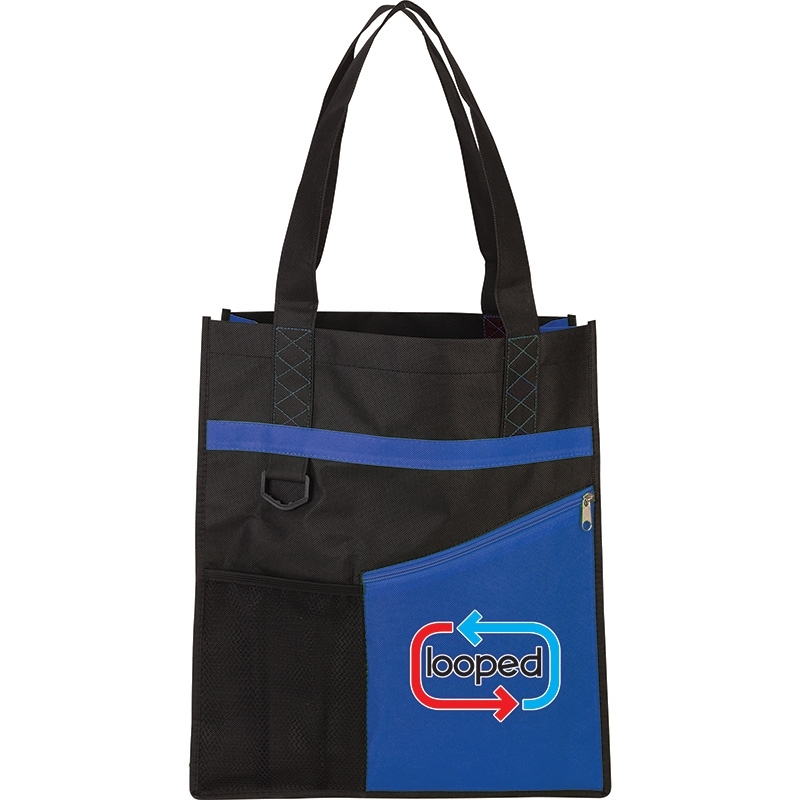 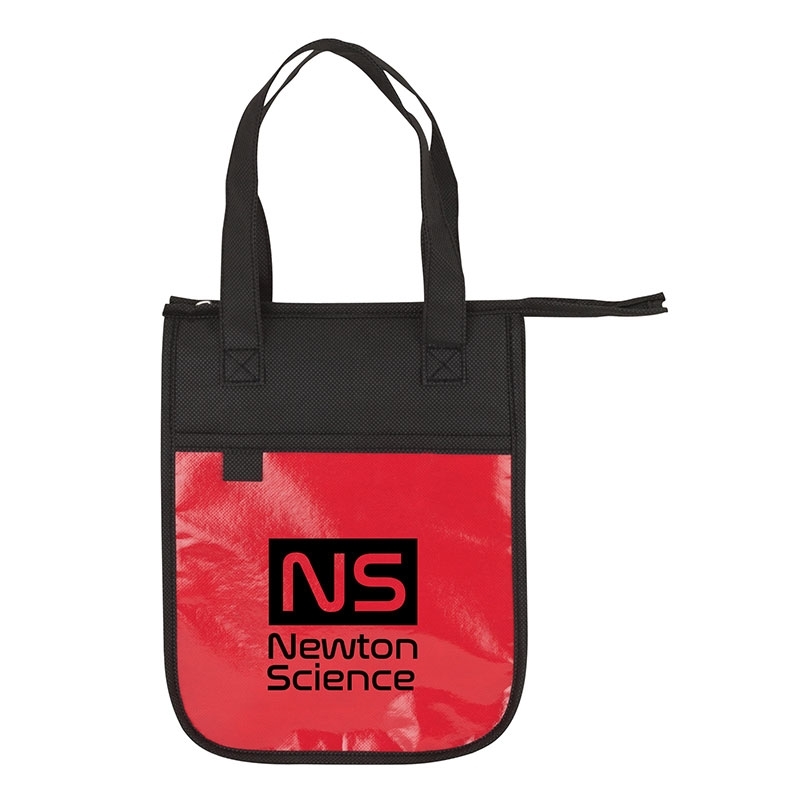 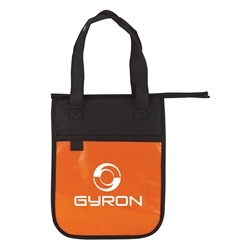 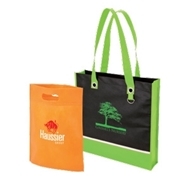 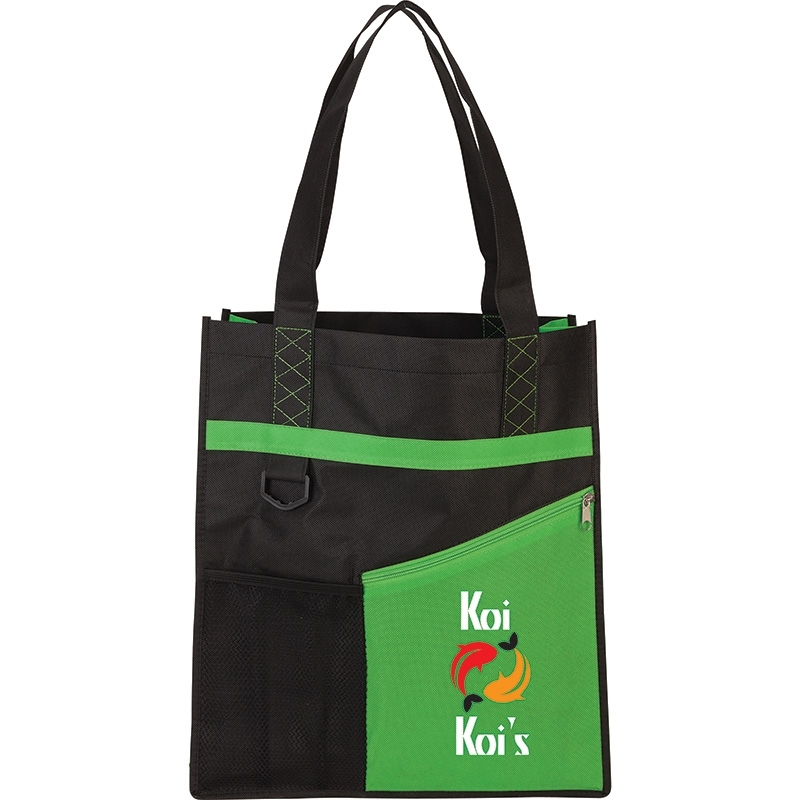 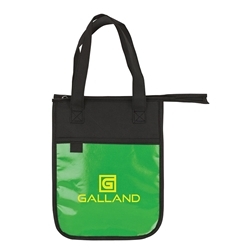 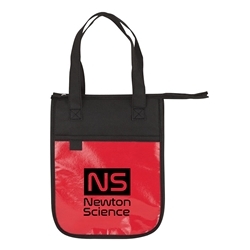 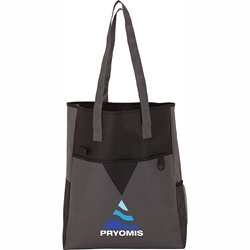 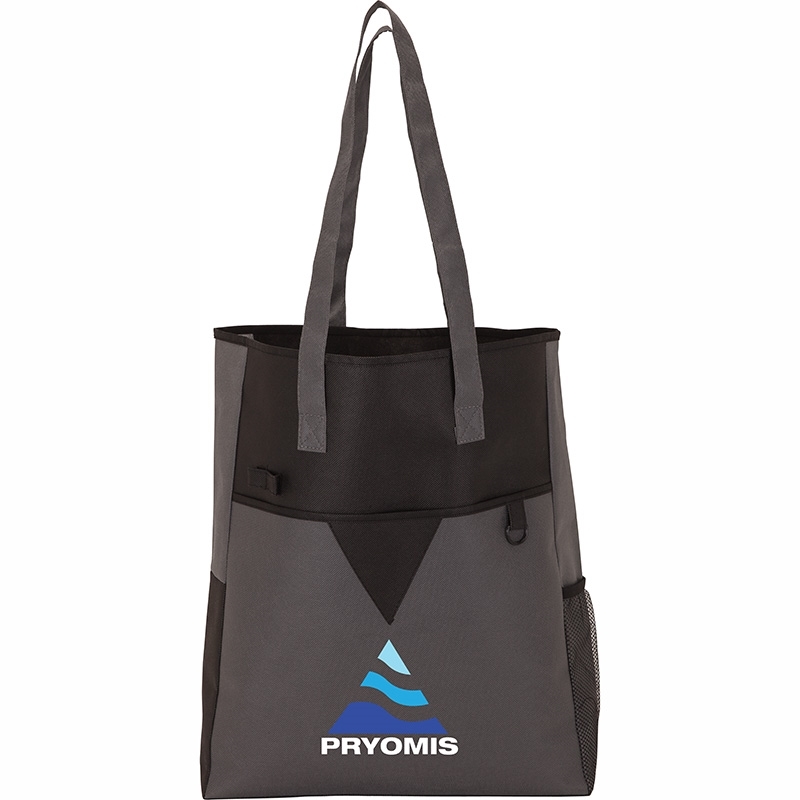 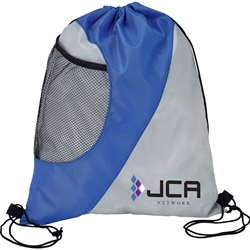 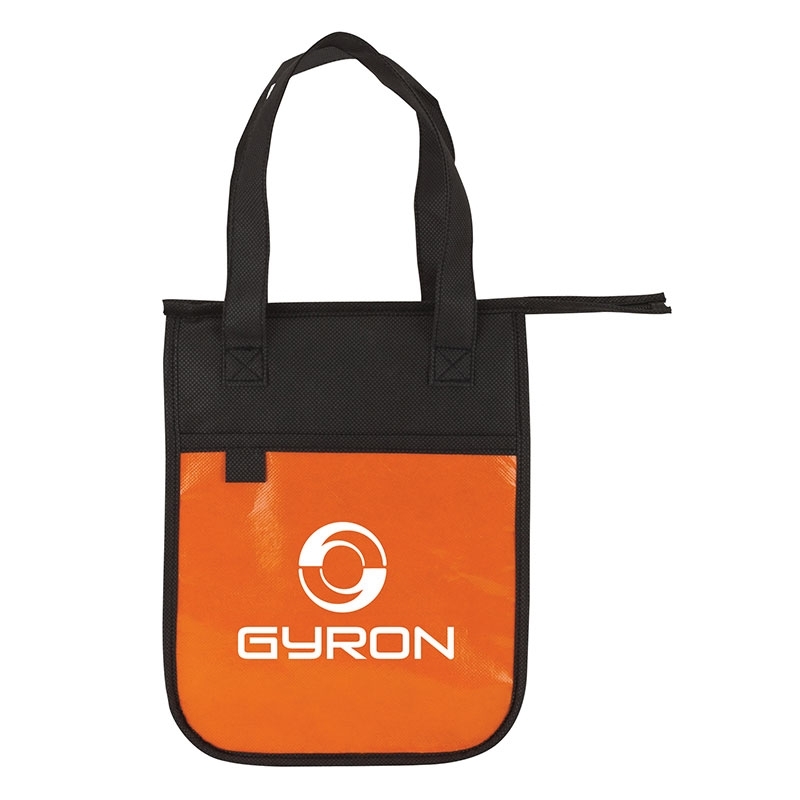 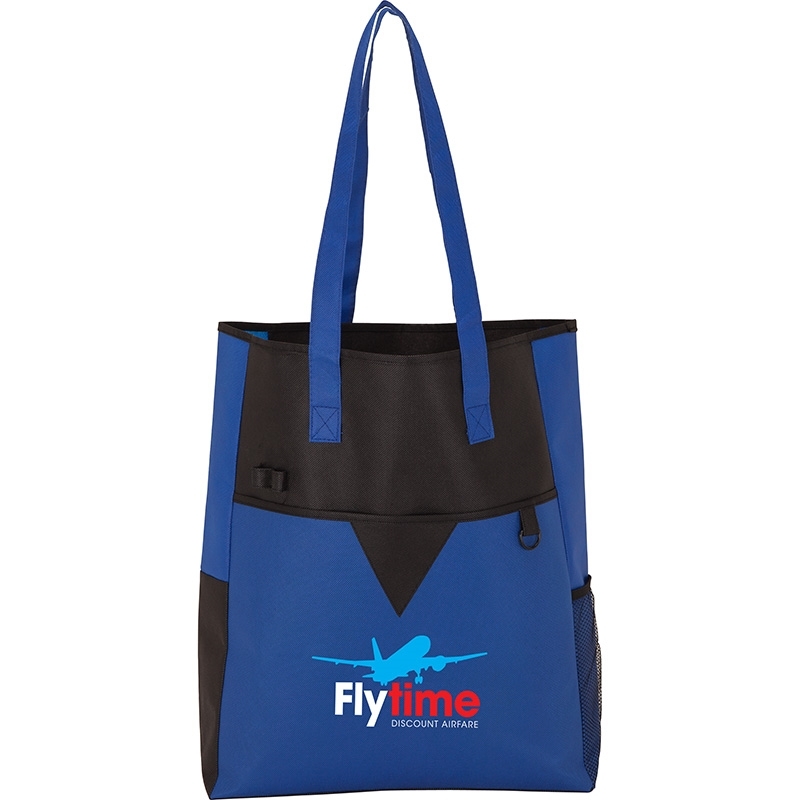 This two-tone non-woven shopper/conference tote has a zippered front pocket, color accent band, contrast stitching, D-ring, mesh water bottle pocket, 22 3/4" x 1 1/2" strap handles and 3 1/2" gusset. 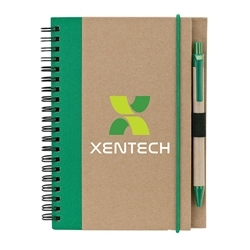 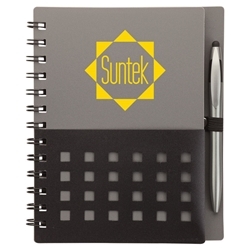 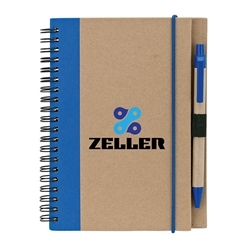 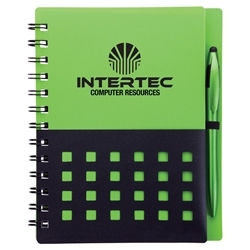 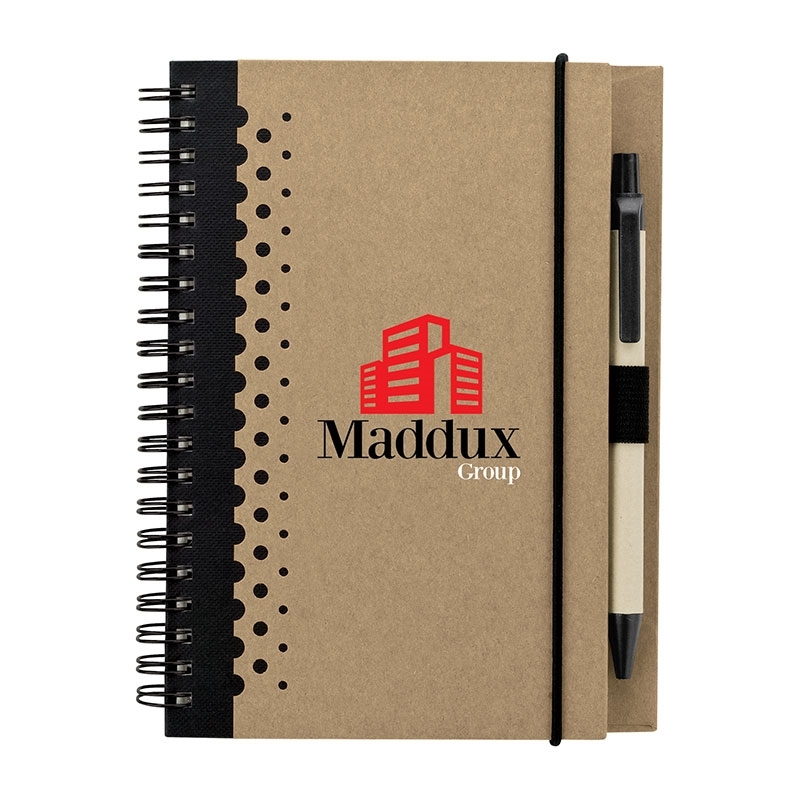 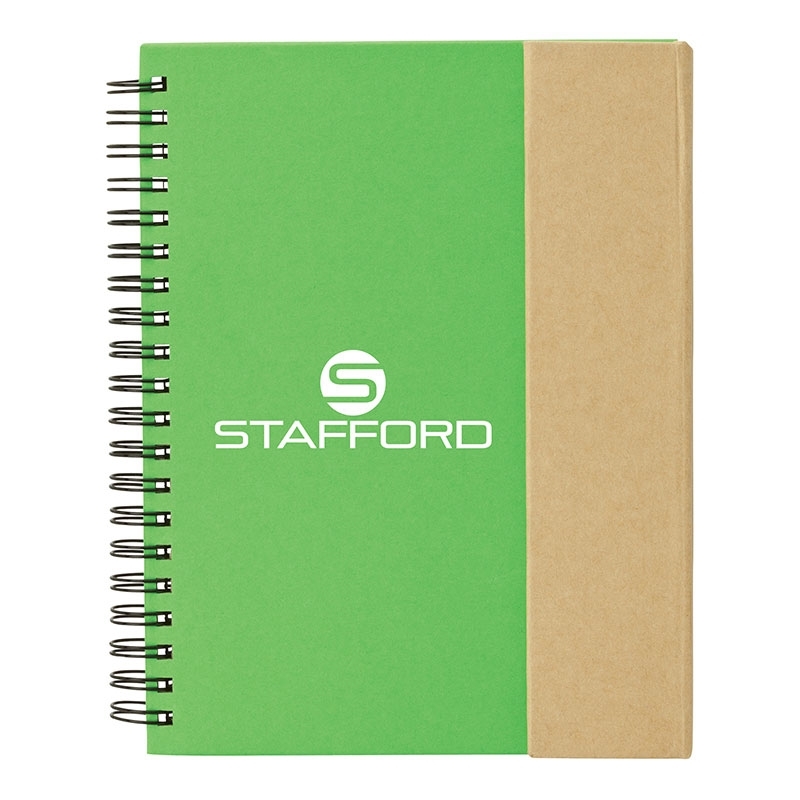 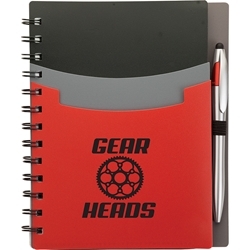 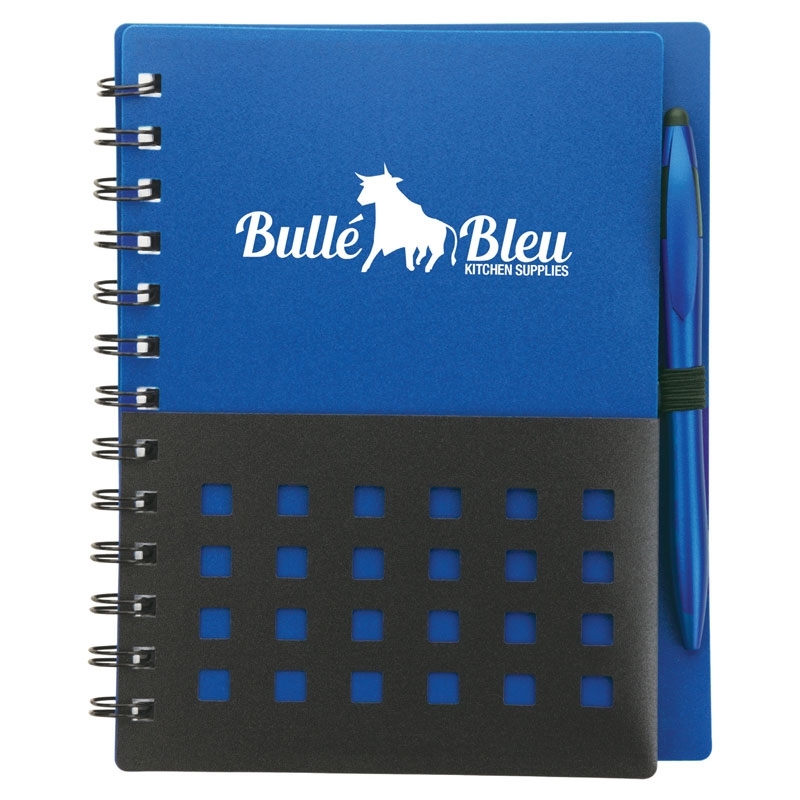 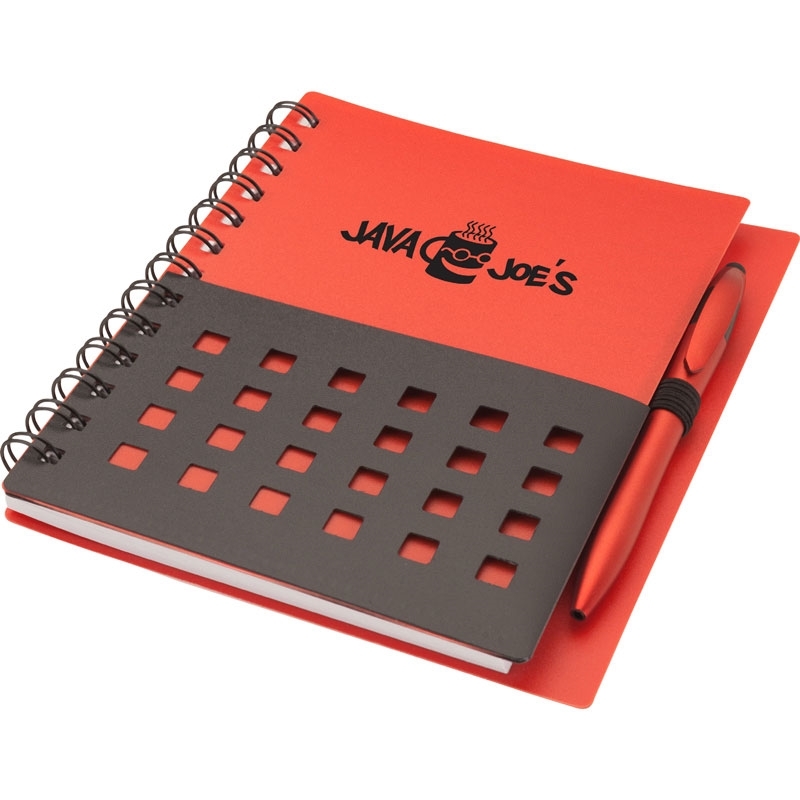 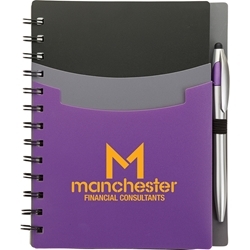 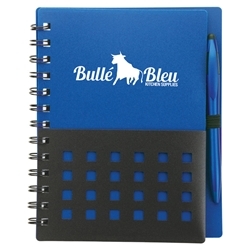 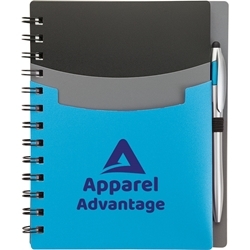 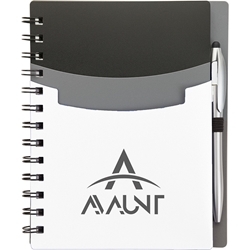 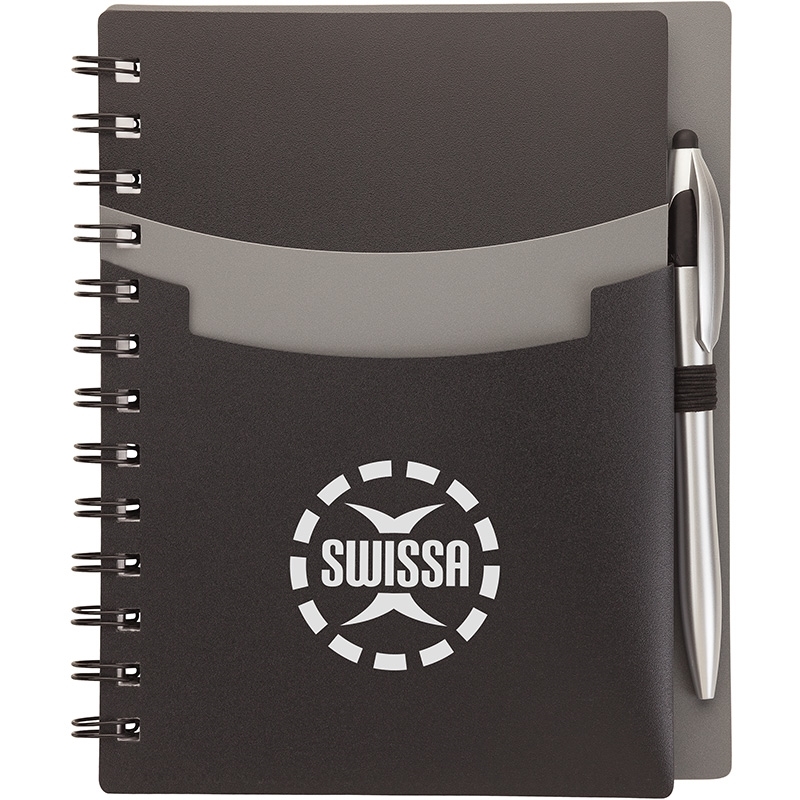 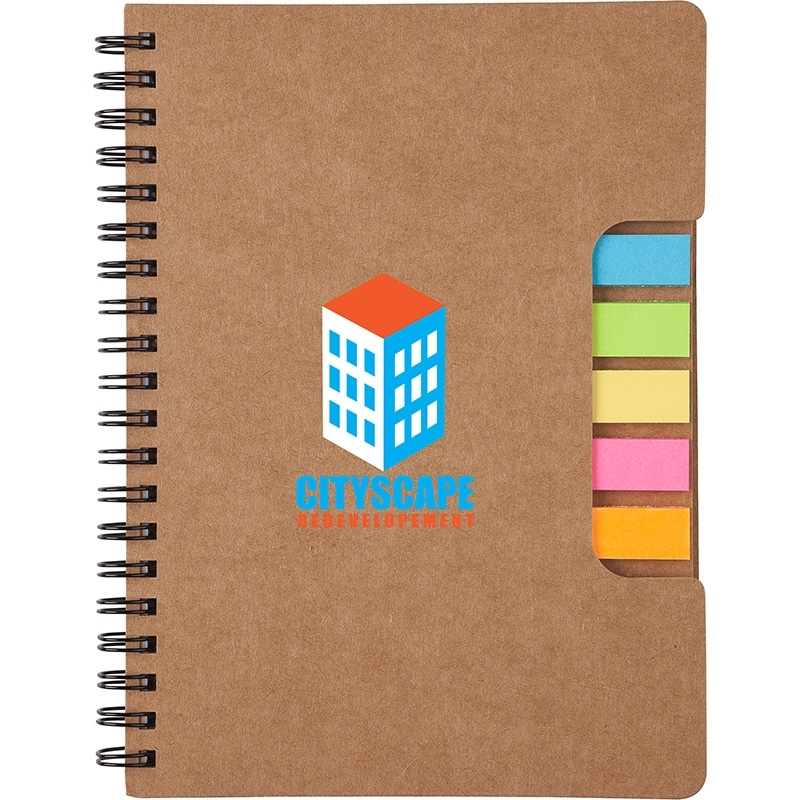 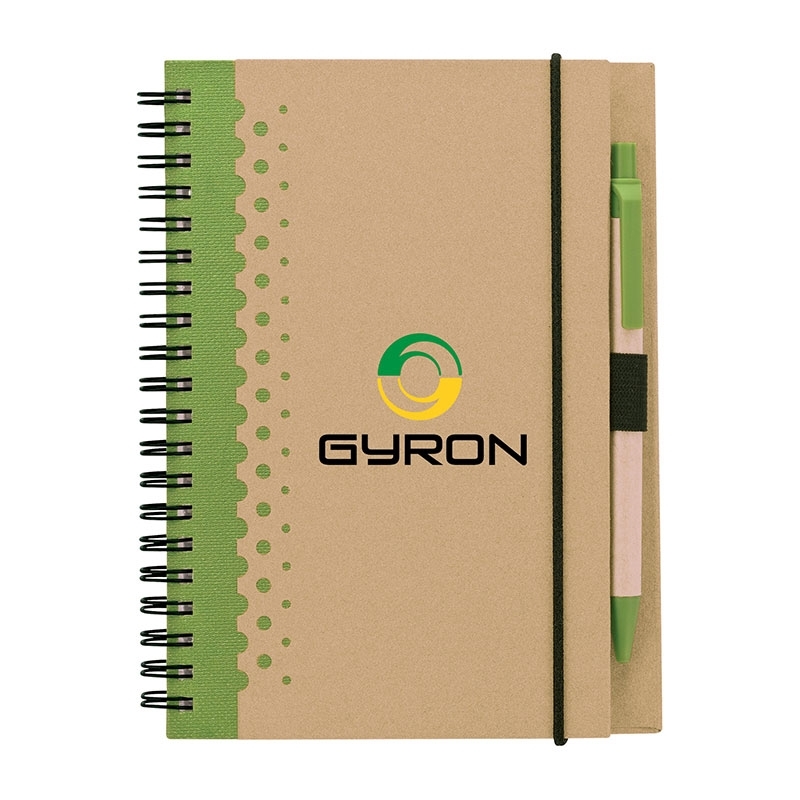 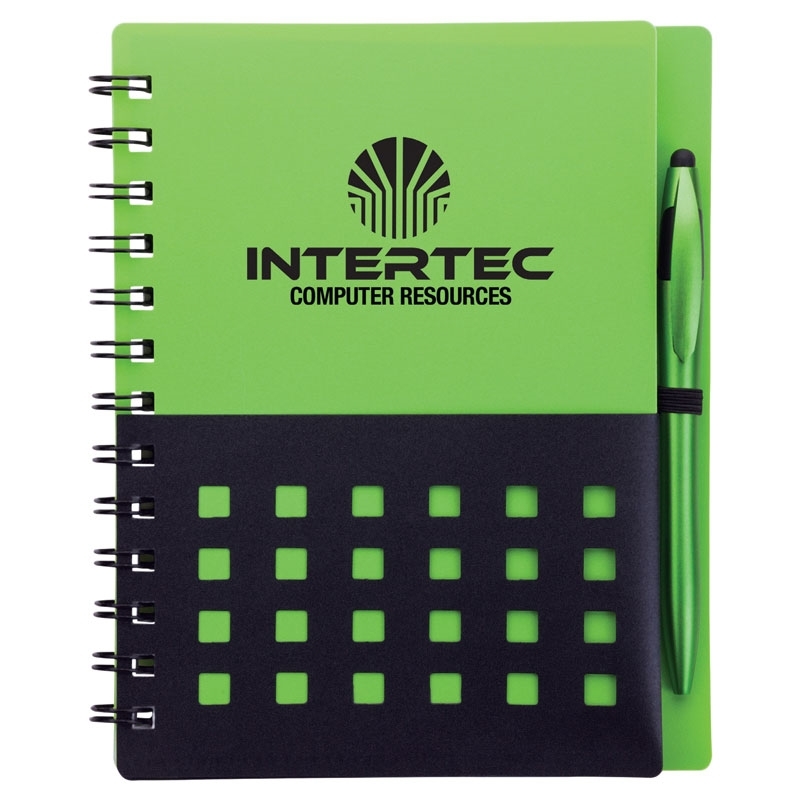 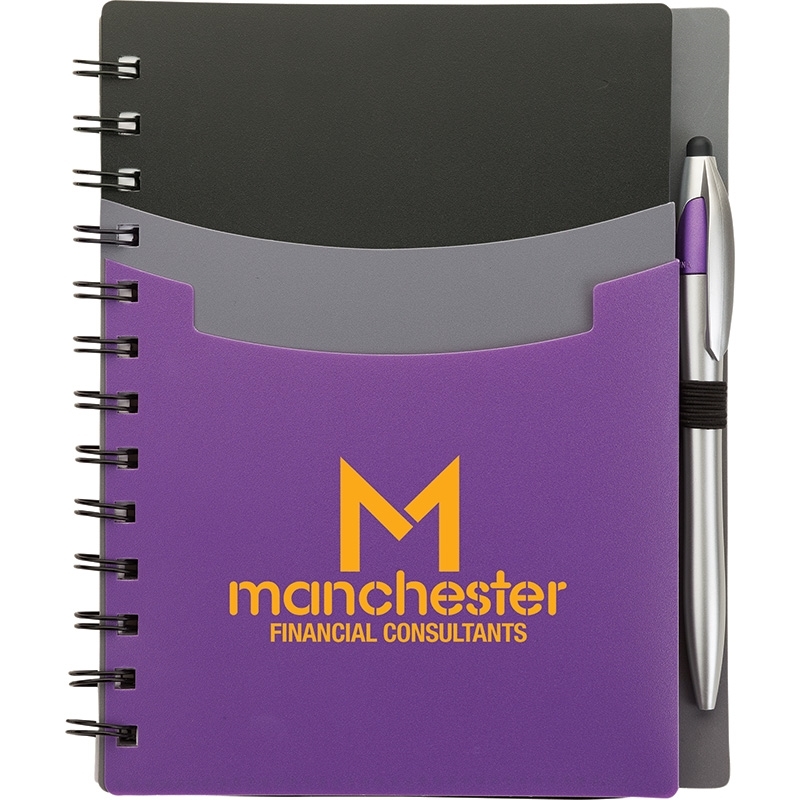 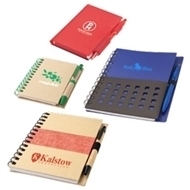 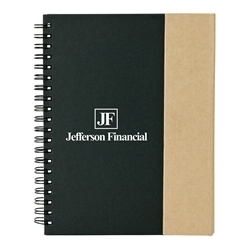 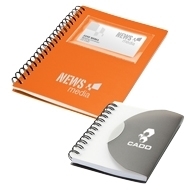 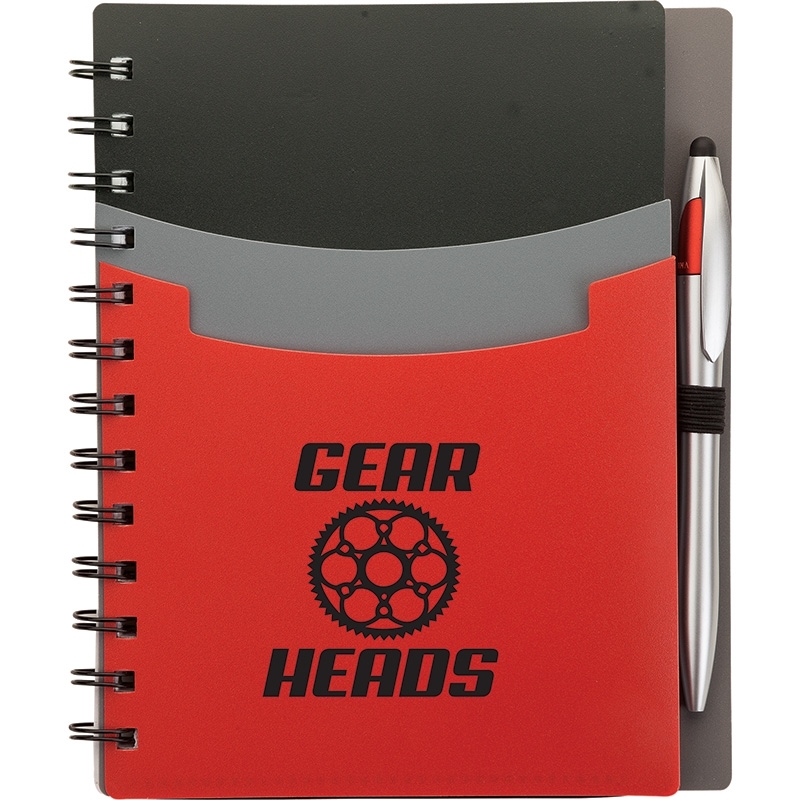 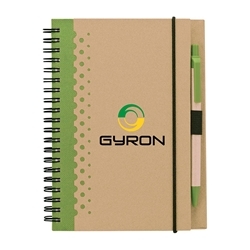 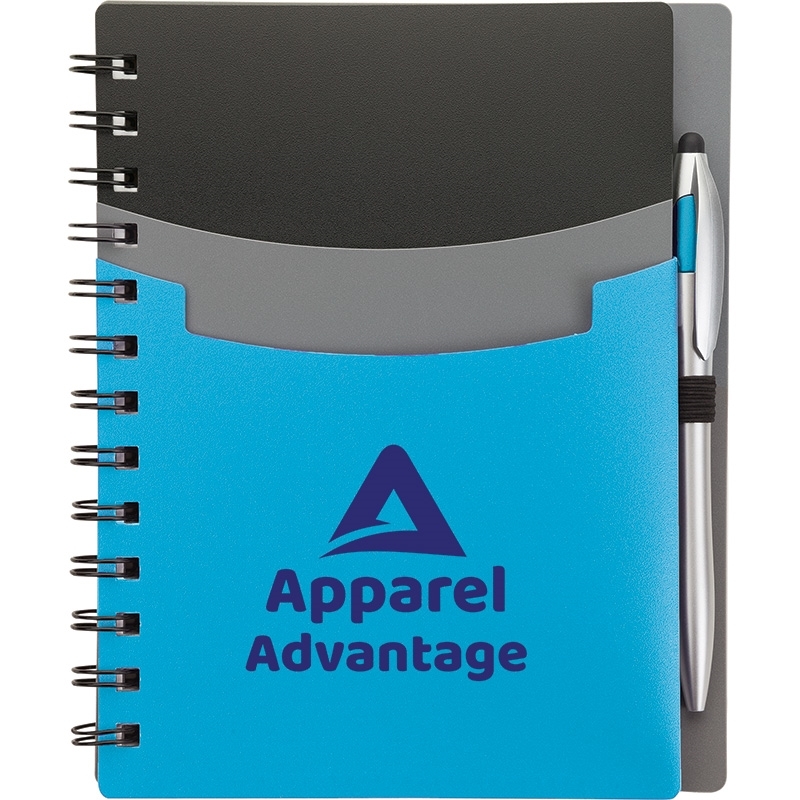 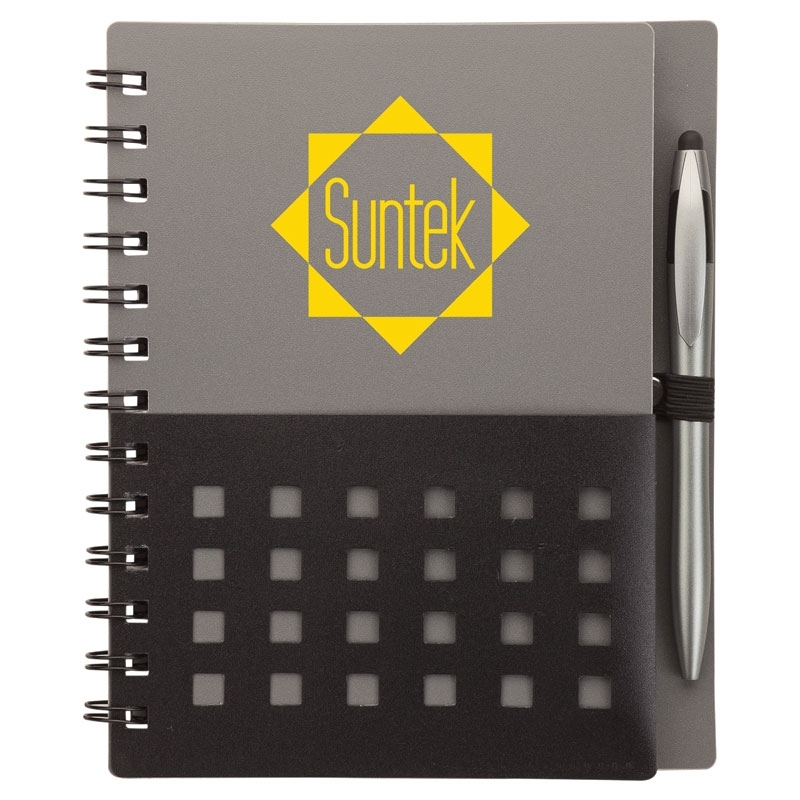 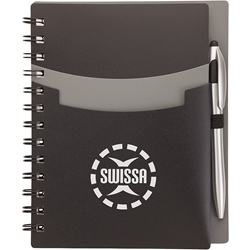 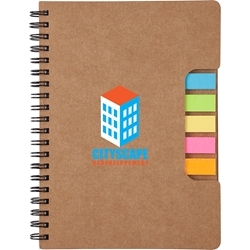 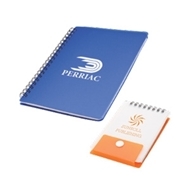 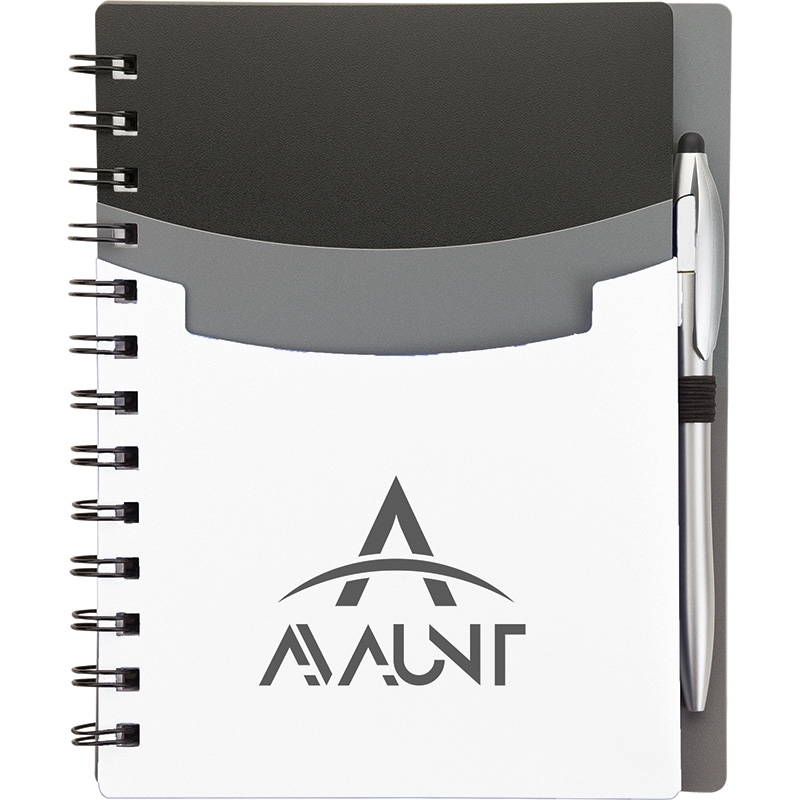 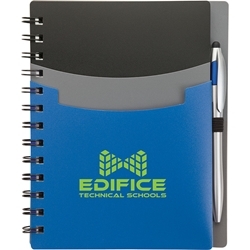 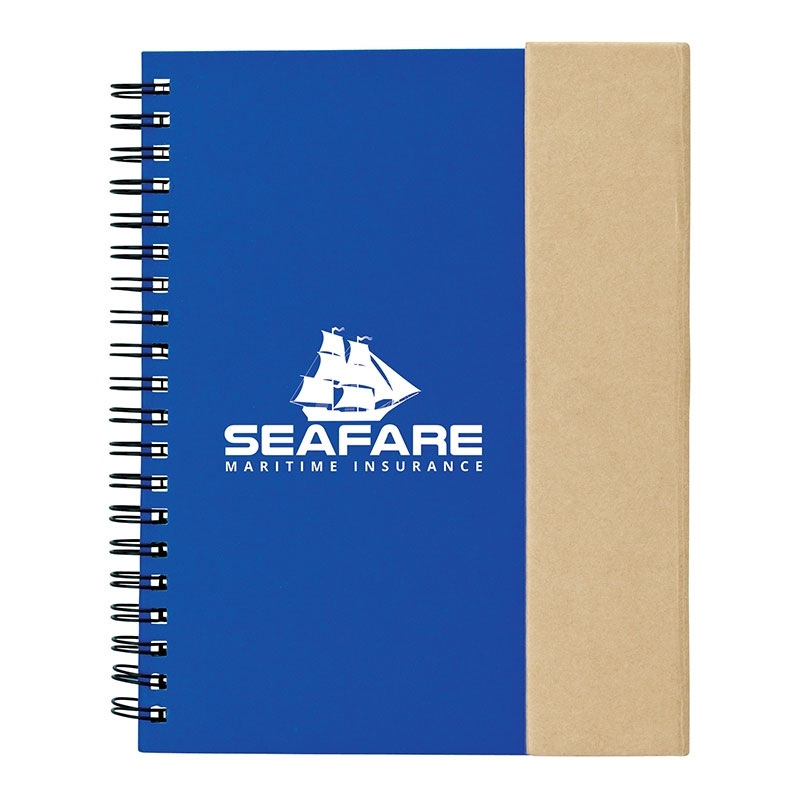 Keep everything at your fingertips with this notebook. 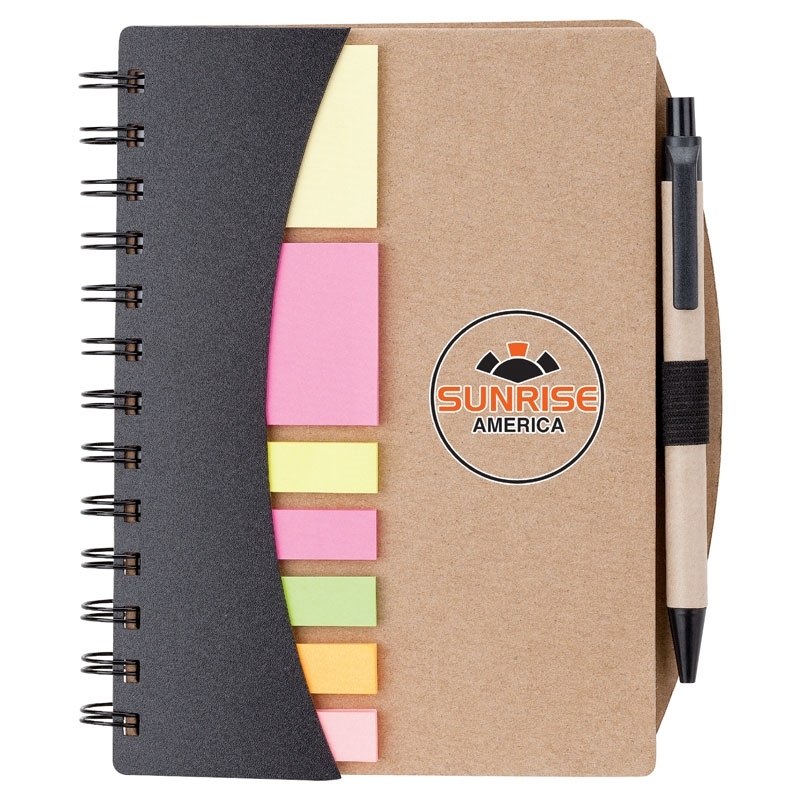 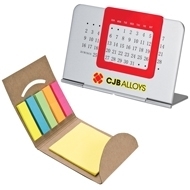 It has a dual cover with die-cut top cover and 25 each of five different colored sticky flags on the inner cover. 70 lined sheets. 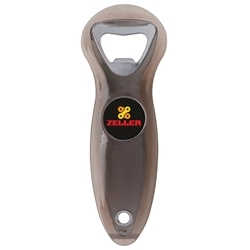 Get a handle on it! 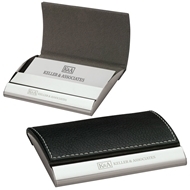 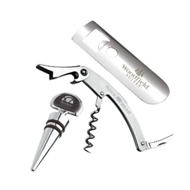 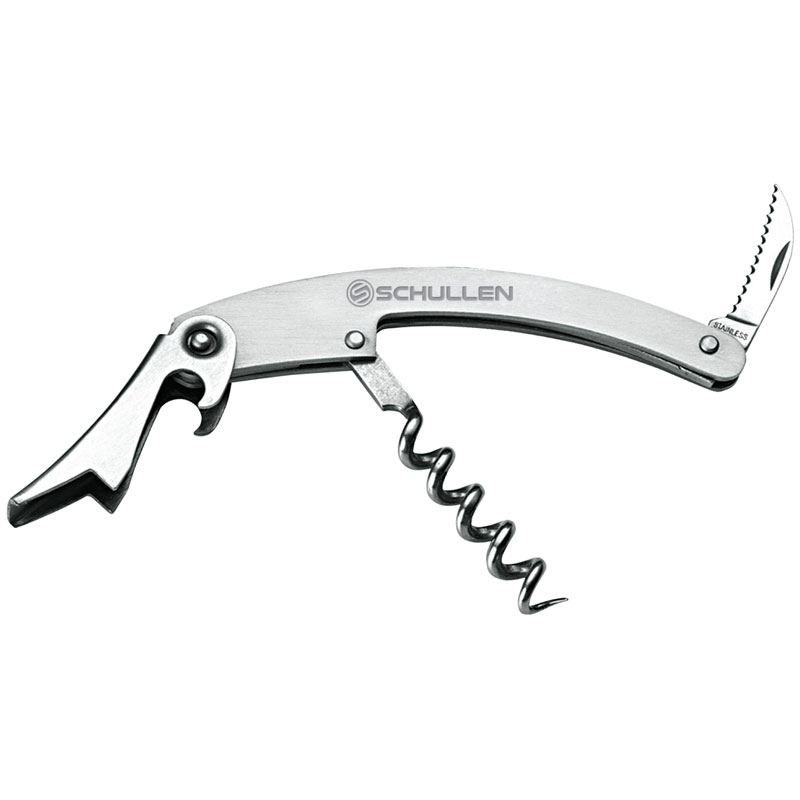 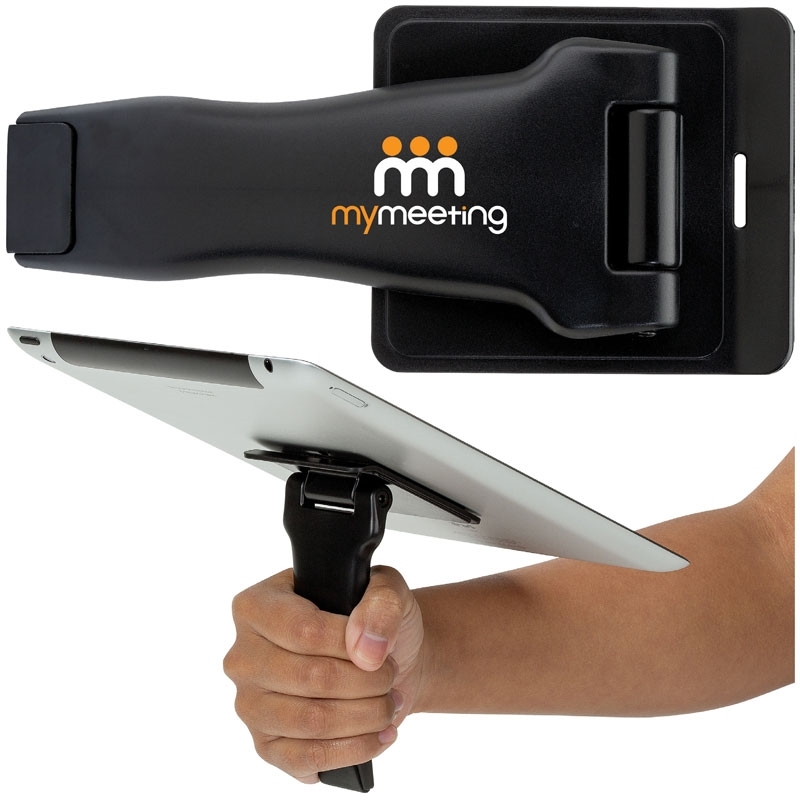 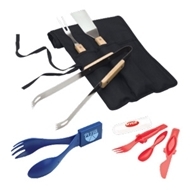 Position the grip vertically, horizontally or any which way for maximum comfort during hand-held or table-top use. 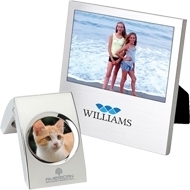 A non-permanent adhesive provides a strong grip to your device. 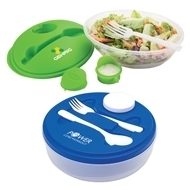 Reheat or freeze soup or other leftovers in this 24 oz. capacity polypropylene cup. 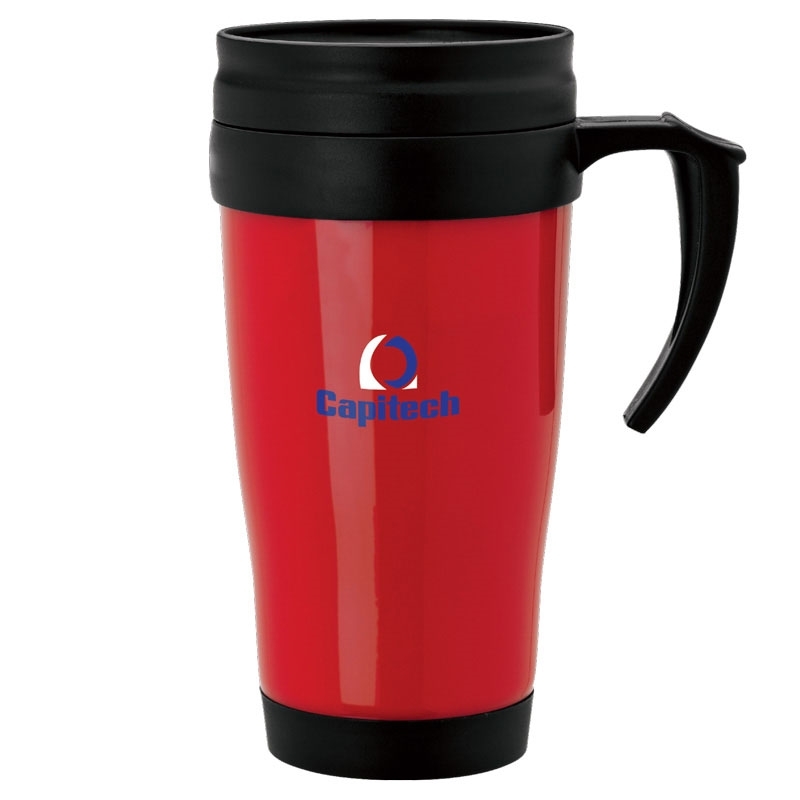 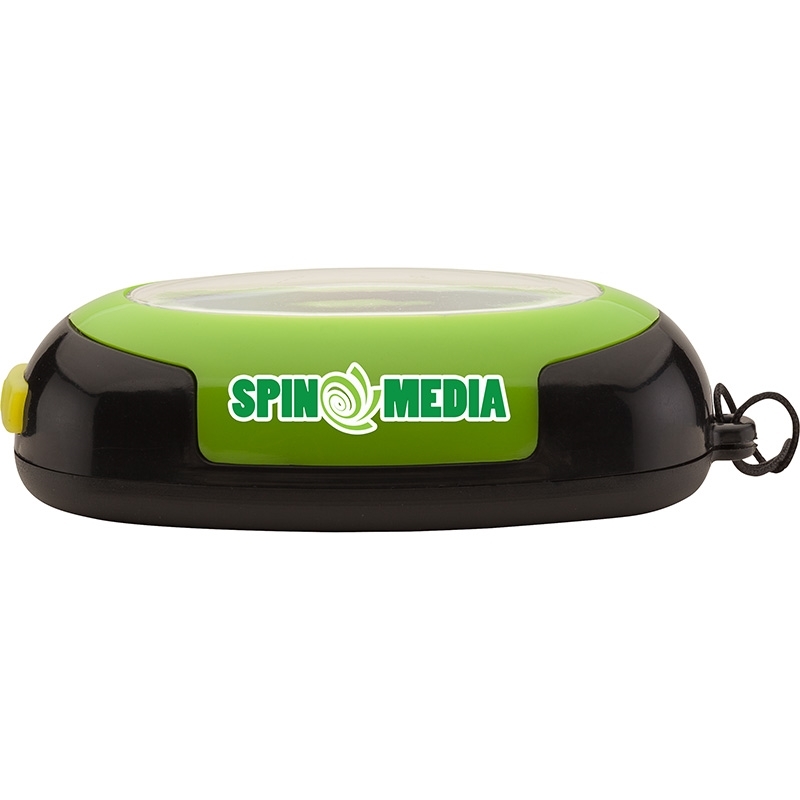 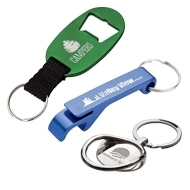 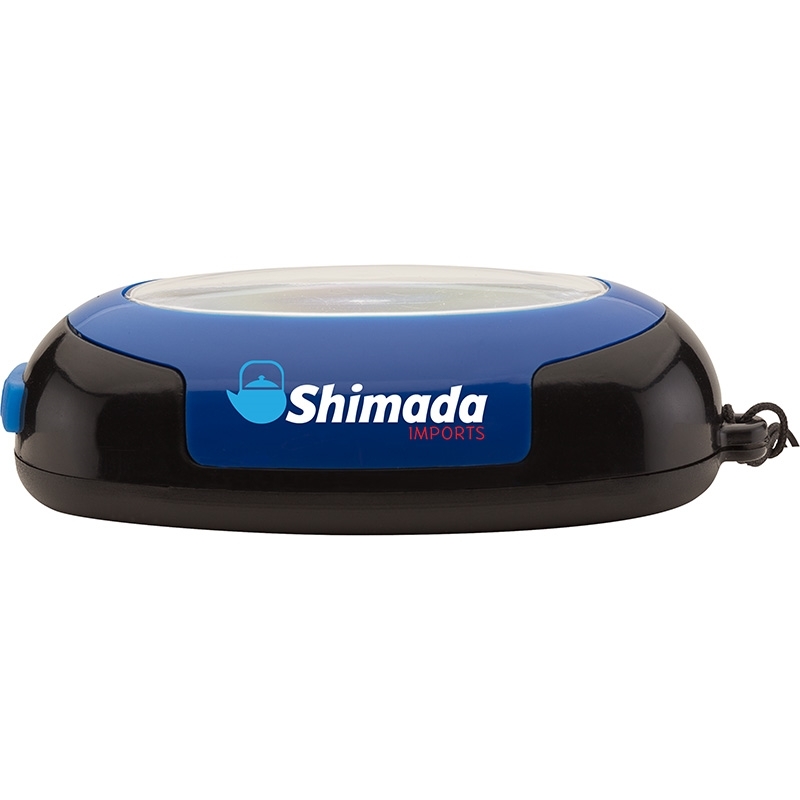 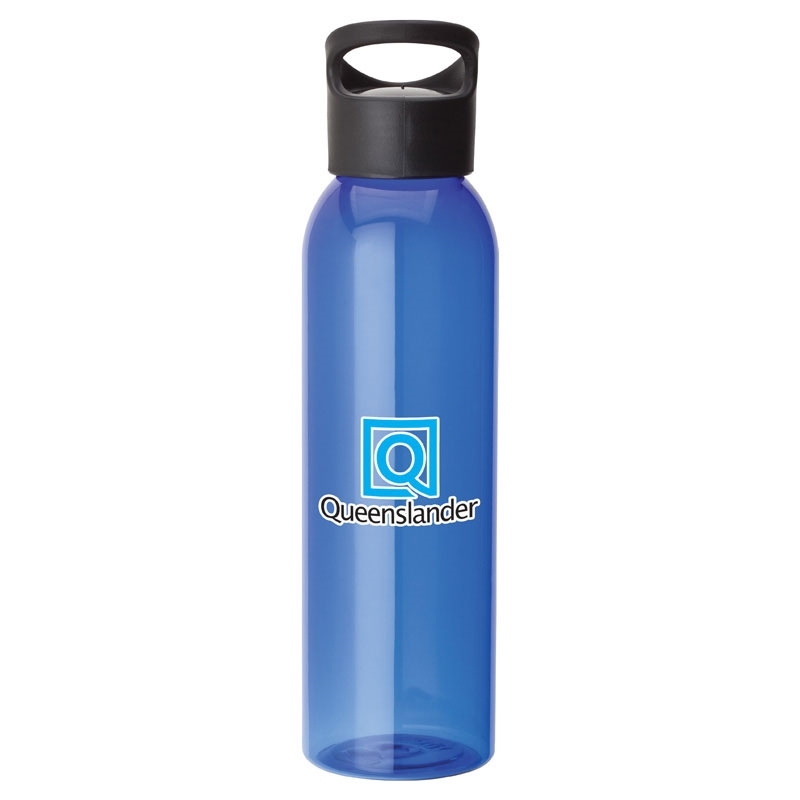 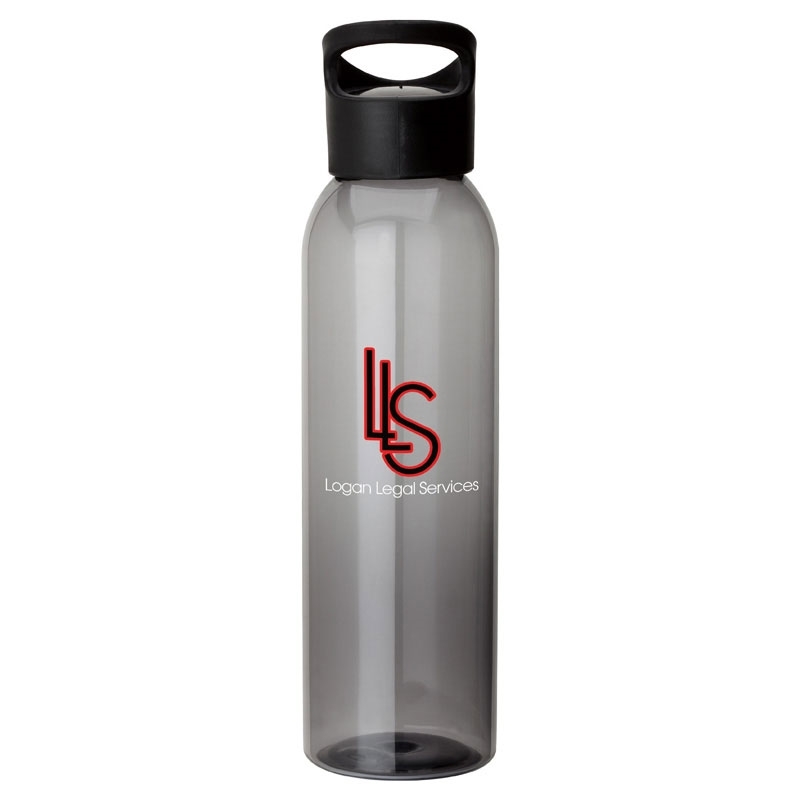 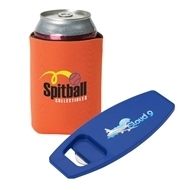 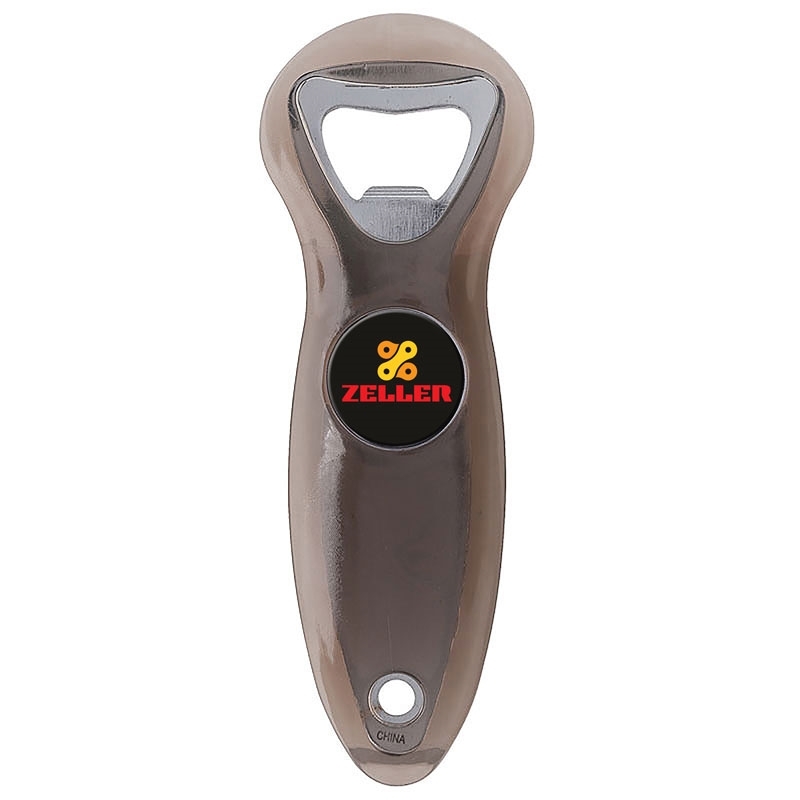 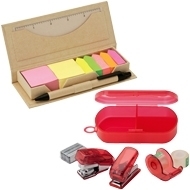 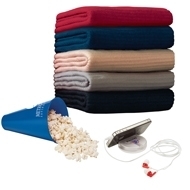 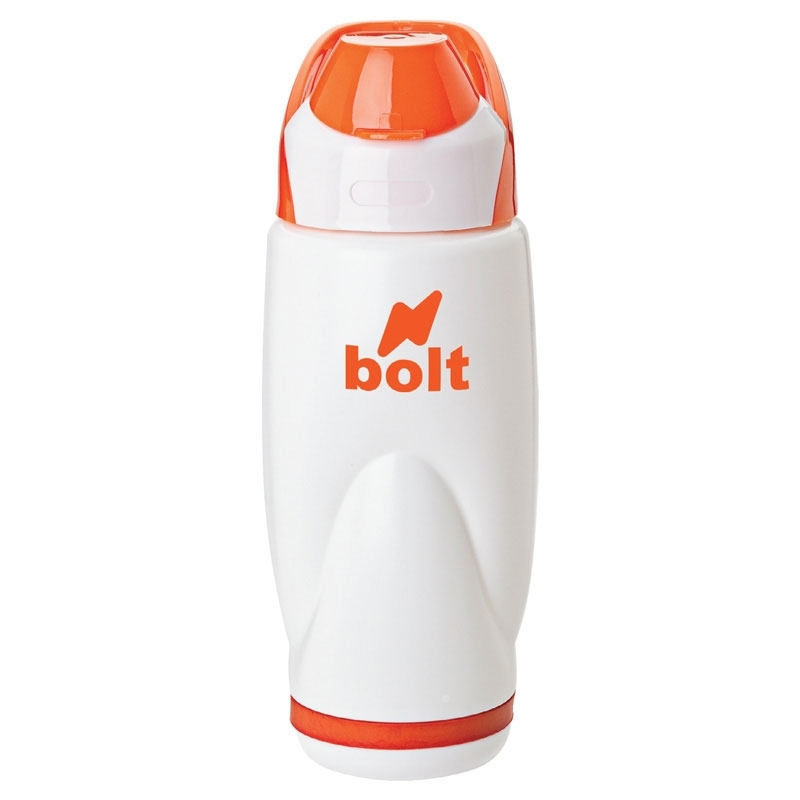 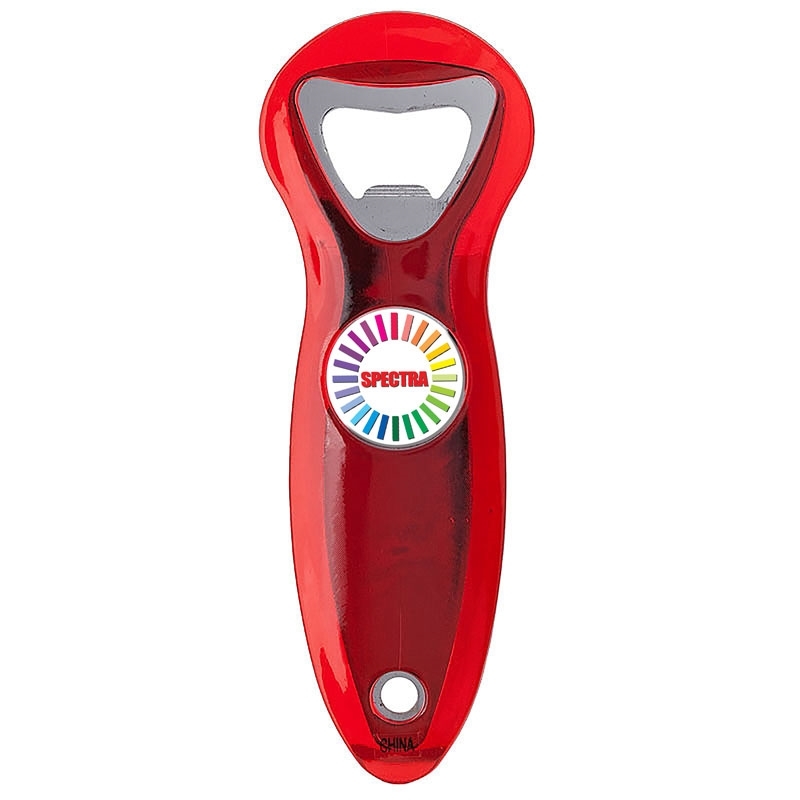 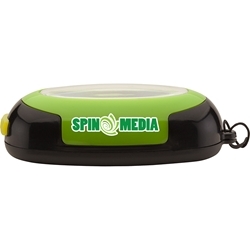 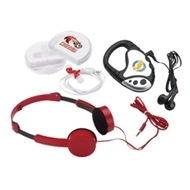 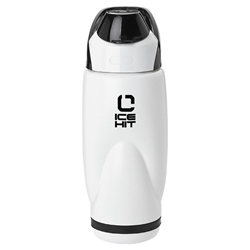 It features a snap-on lid, ventilation hole and an ergonomic handle. 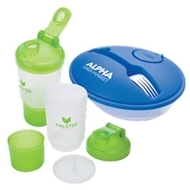 It’s microwavable and BPA-free. 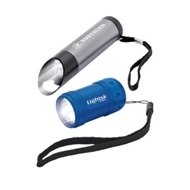 The Anytime Anywhere 6-light COB strip has a magnetic back to add illumination where you need it and a wrist strap to carry anywhere. 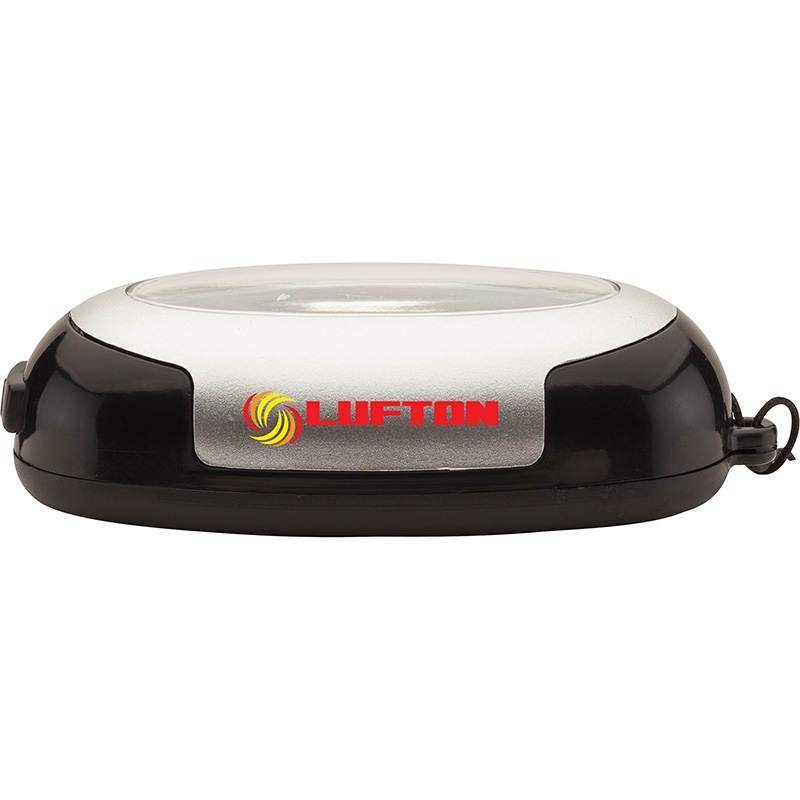 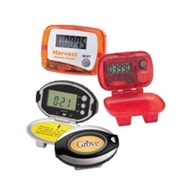 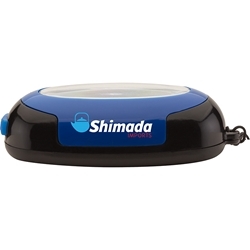 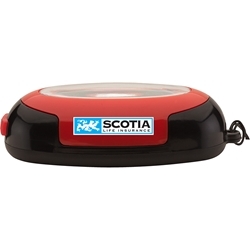 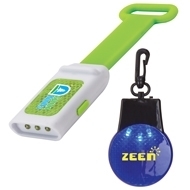 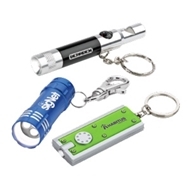 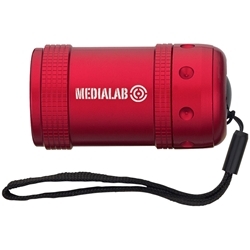 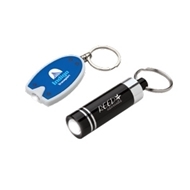 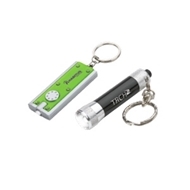 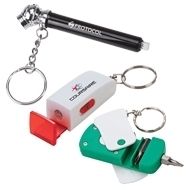 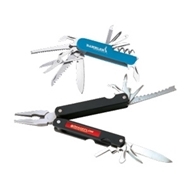 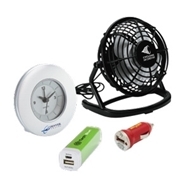 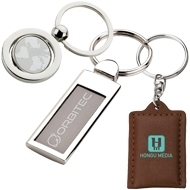 Features a three-position switch with high, low and flash modes.